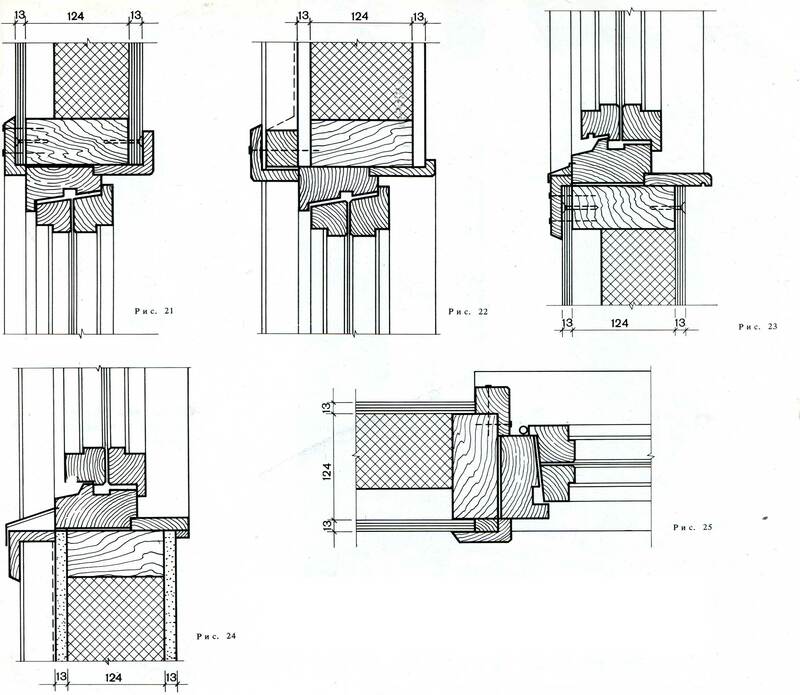 Nodes window openings in the wall of reinforced concrete prefabricated panels. 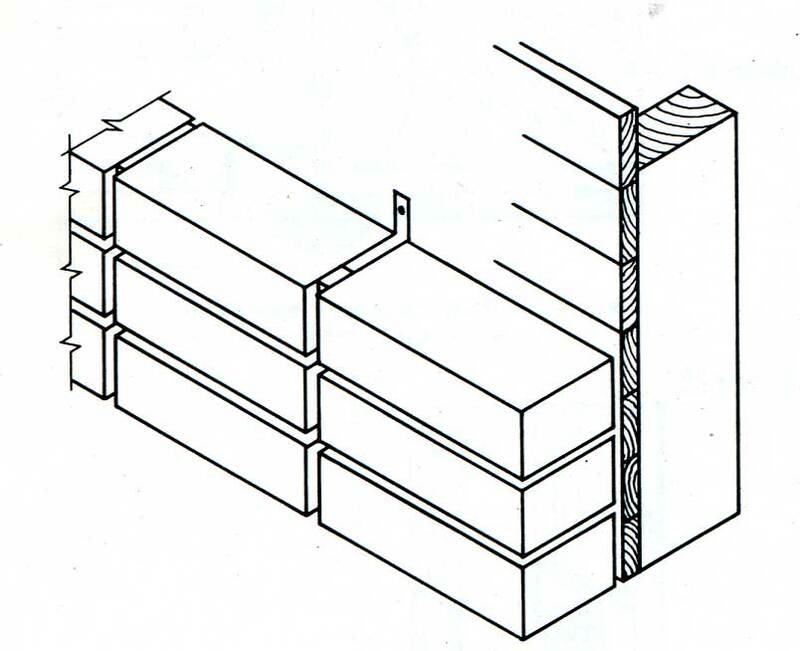 Nodes window openings in the wall of the prefabricated panels with wooden frames. 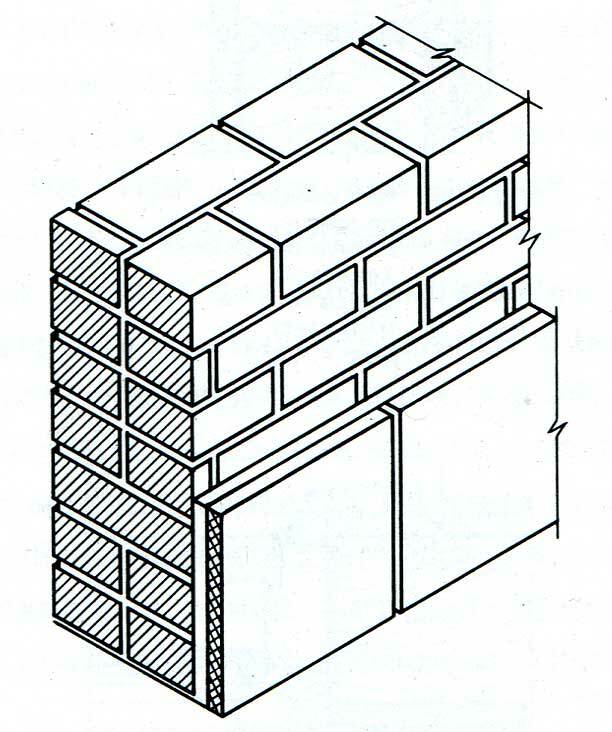 The compound brick veneer and wooden wall. 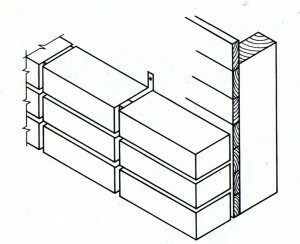 Framing of openings in vertical rows. 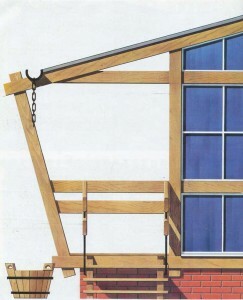 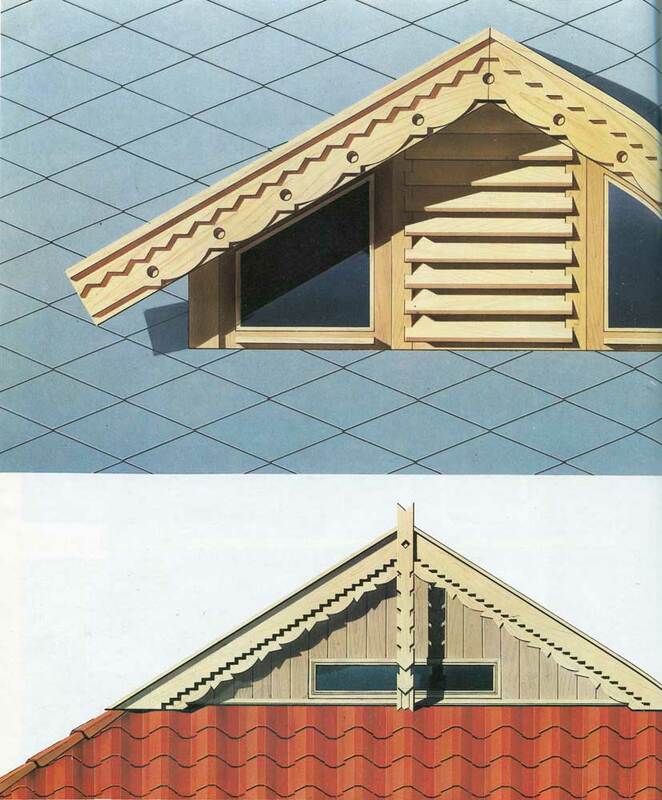 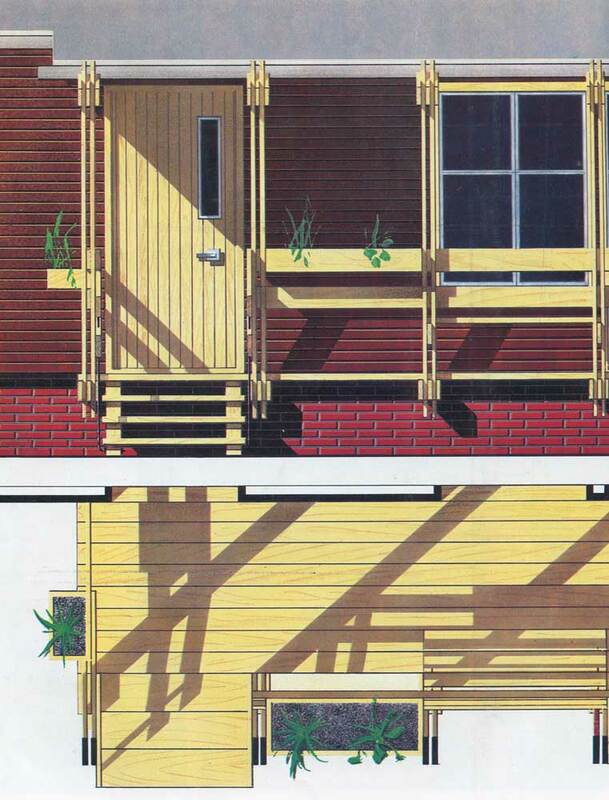 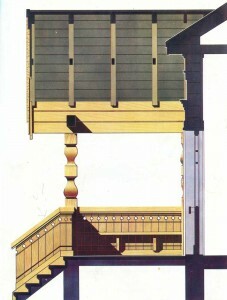 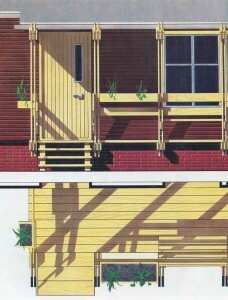 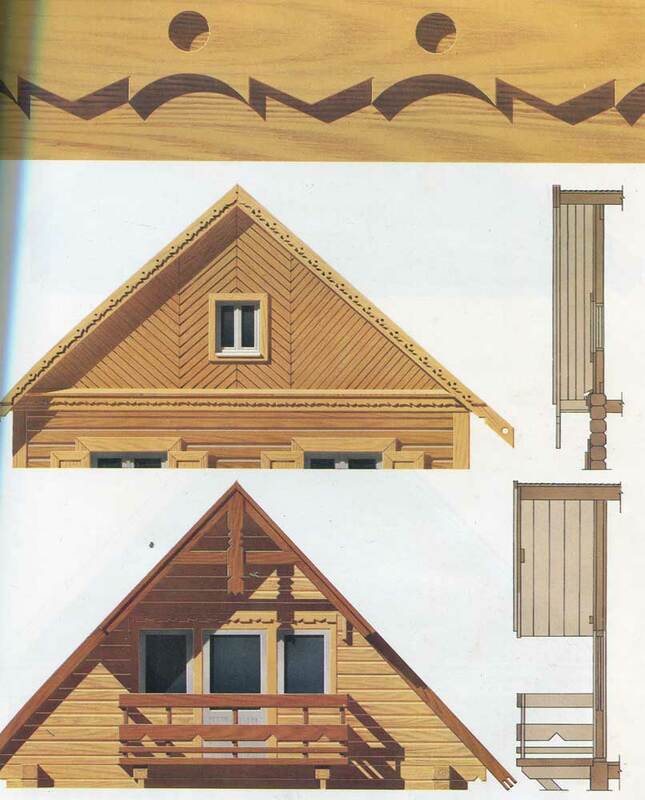 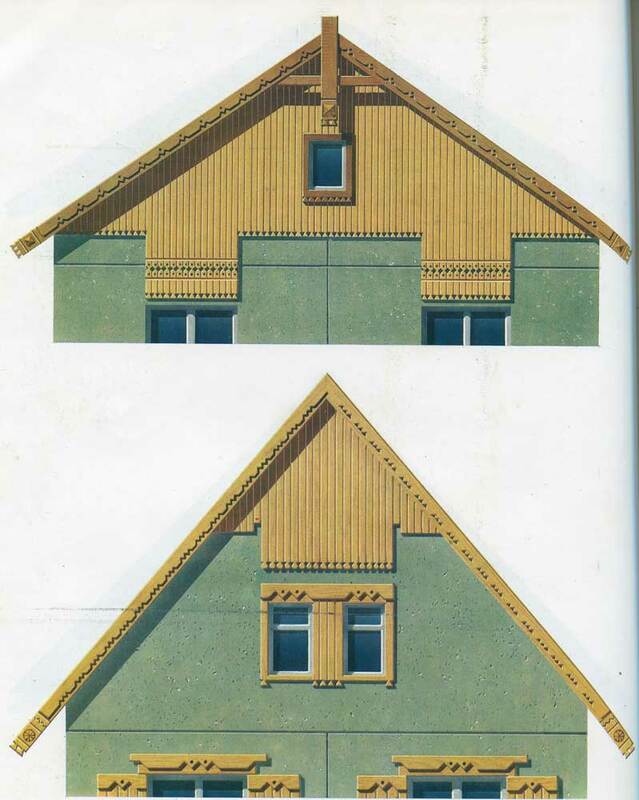 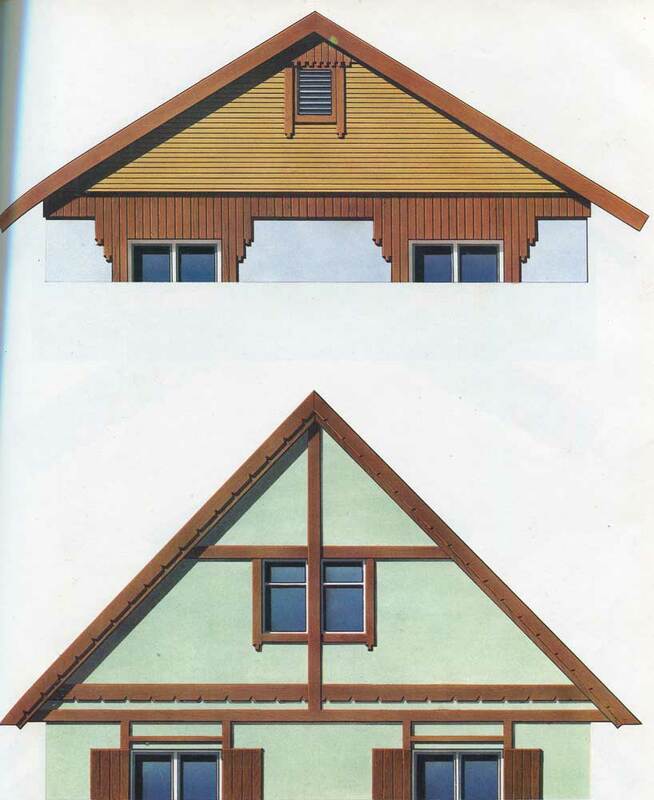 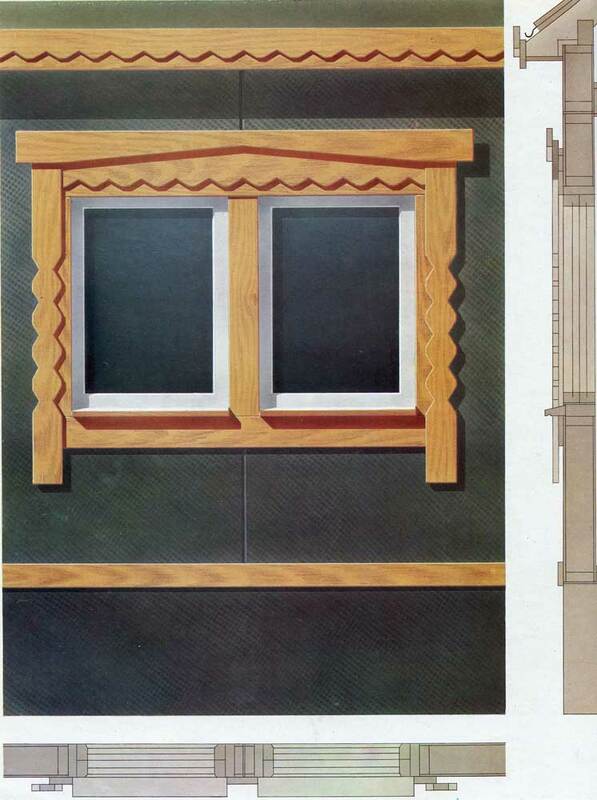 Design of window openings in houses made ​​of wood. 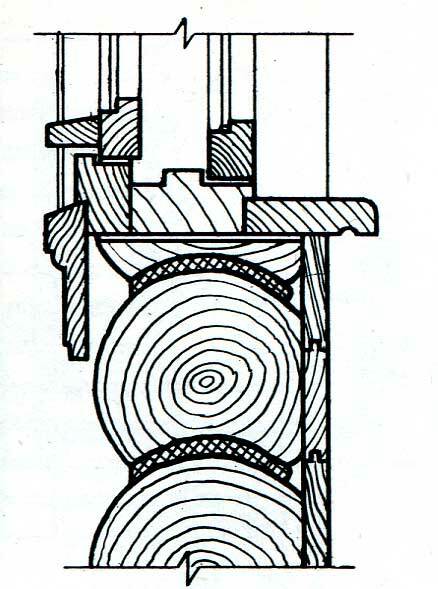 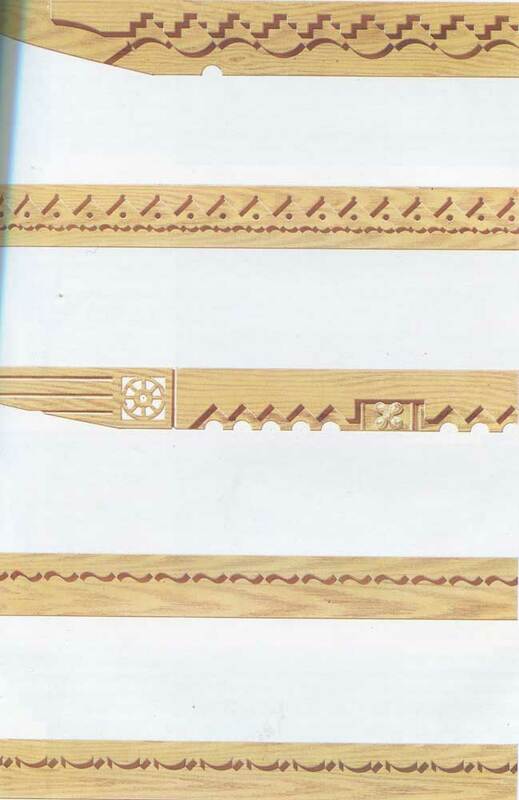 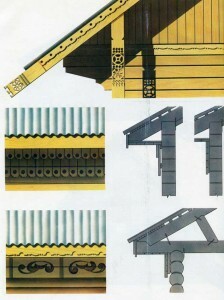 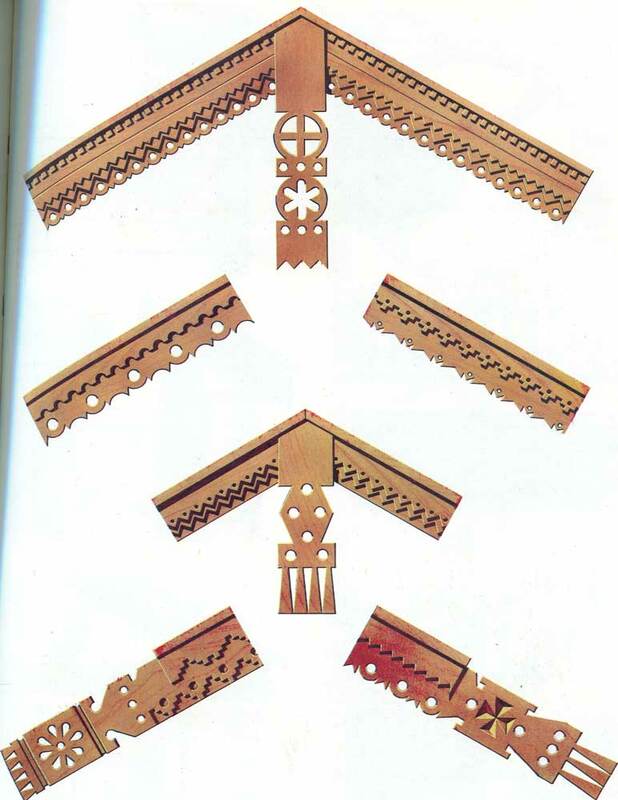 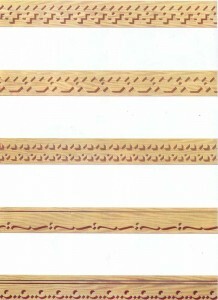 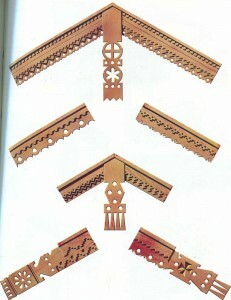 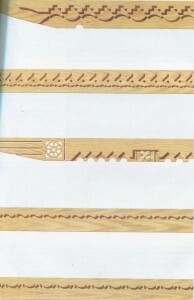 Designs of window apertures in houses from a tree. 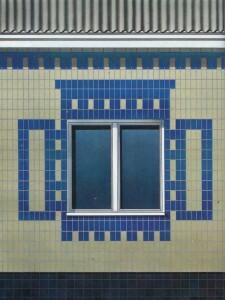 Bottom of a window aperture in a chopped wall. 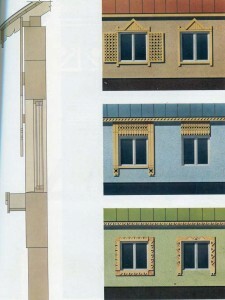 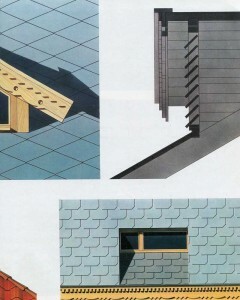 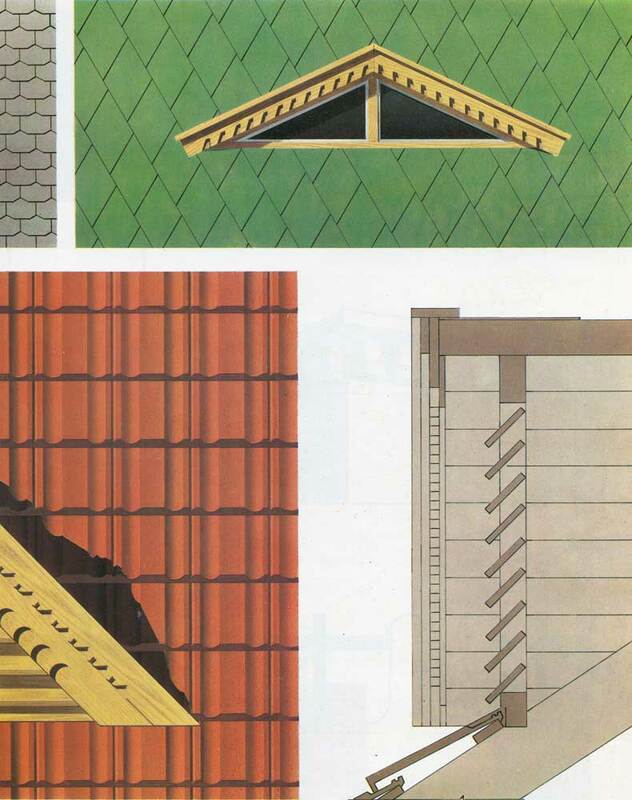 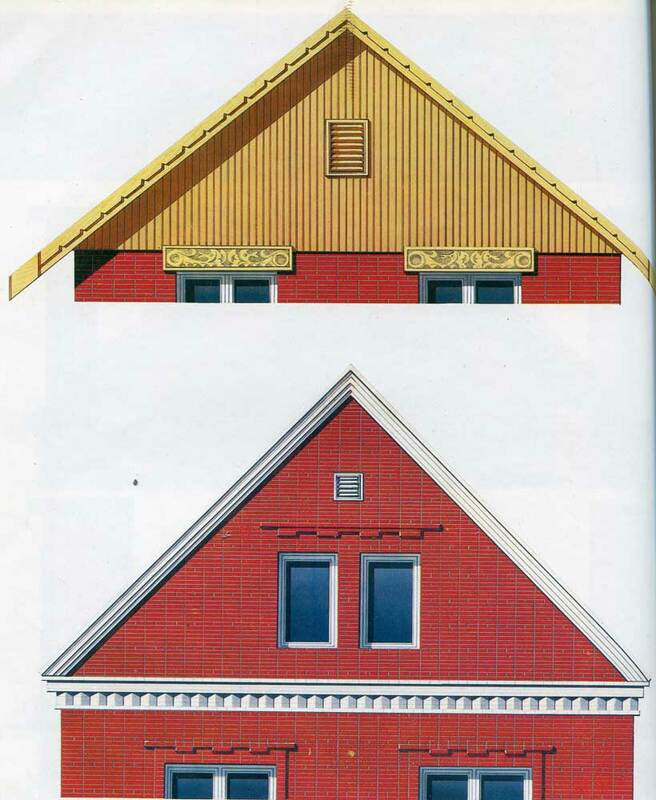 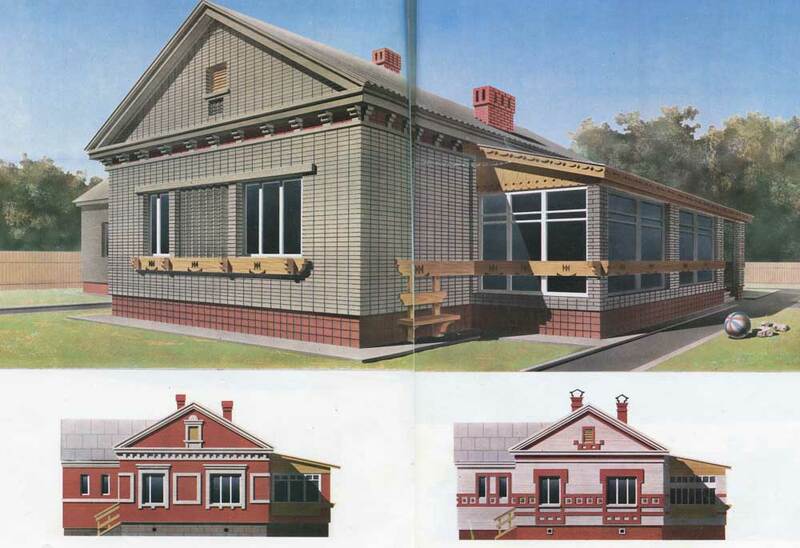 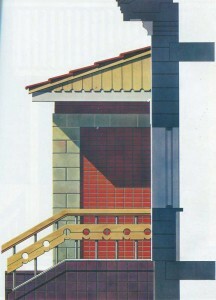 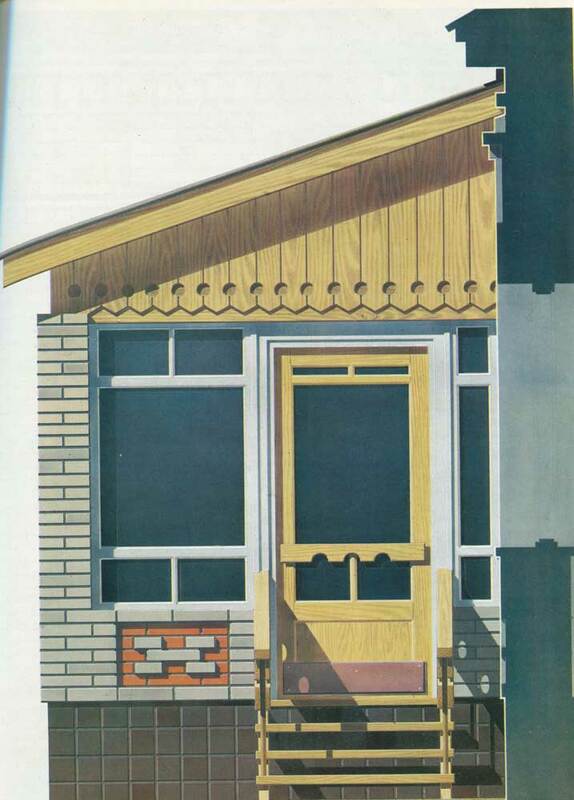 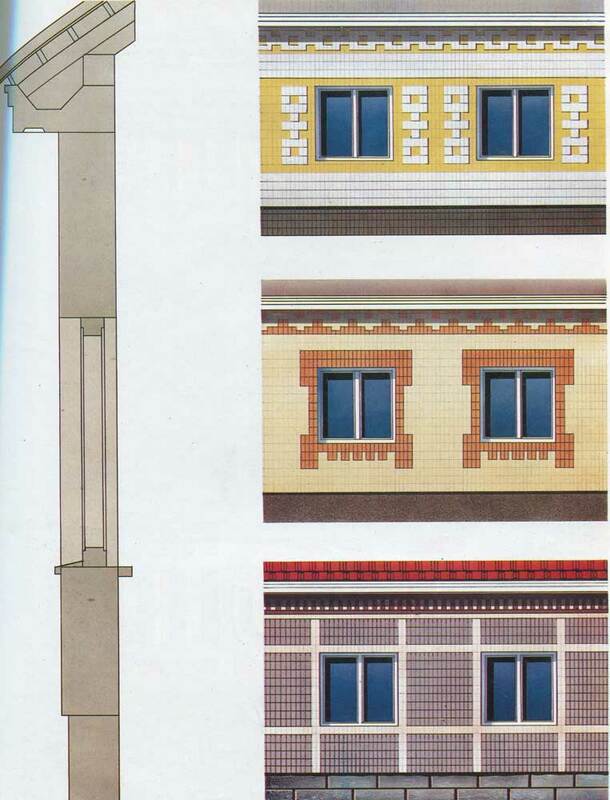 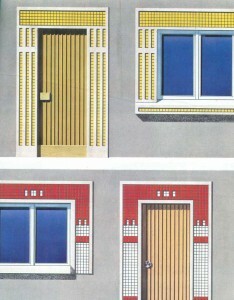 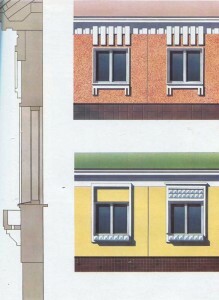 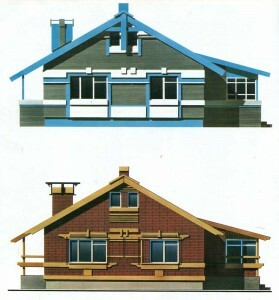 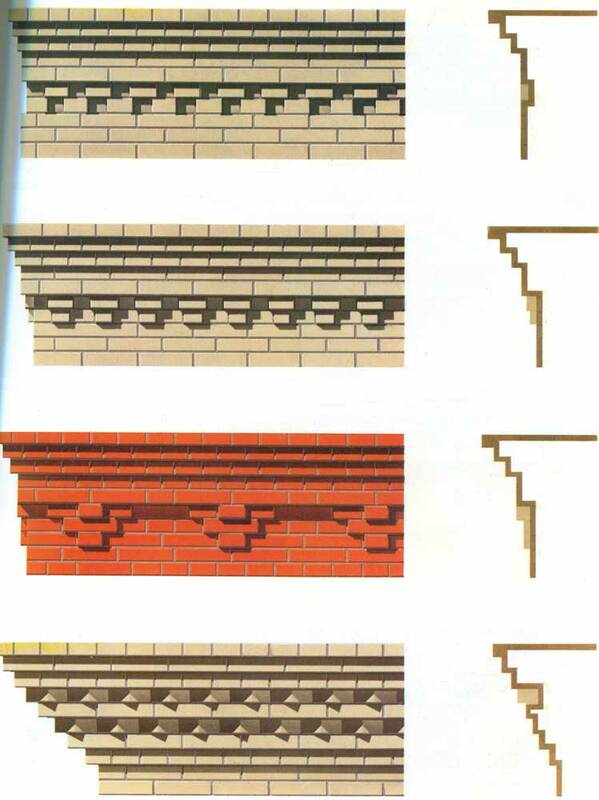 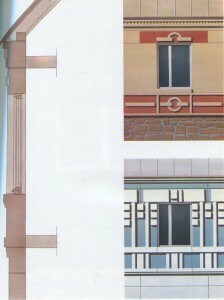 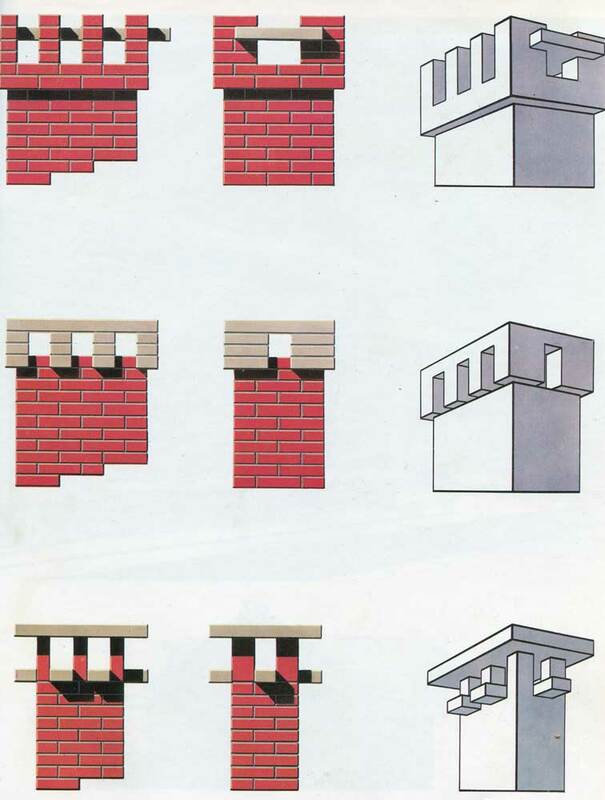 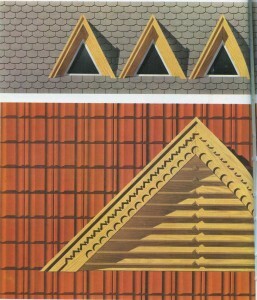 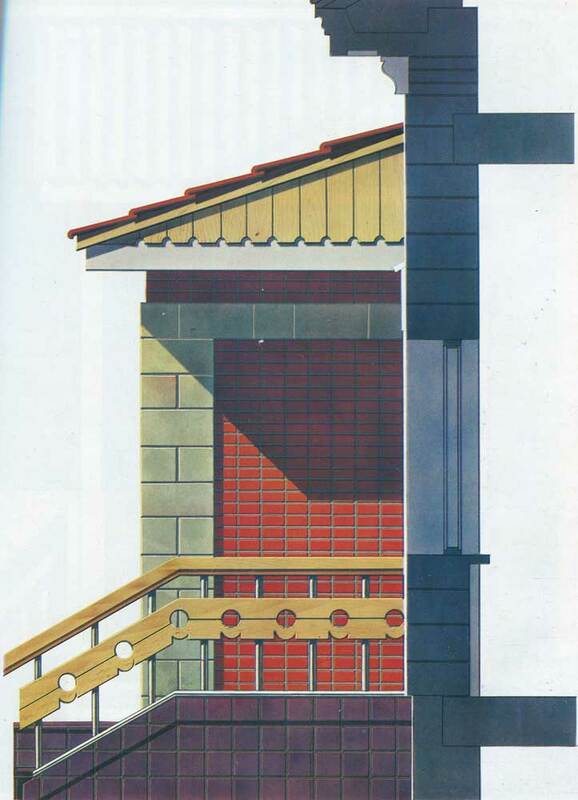 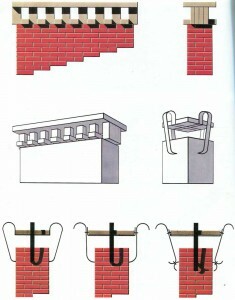 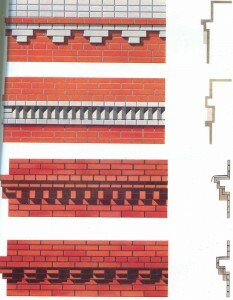 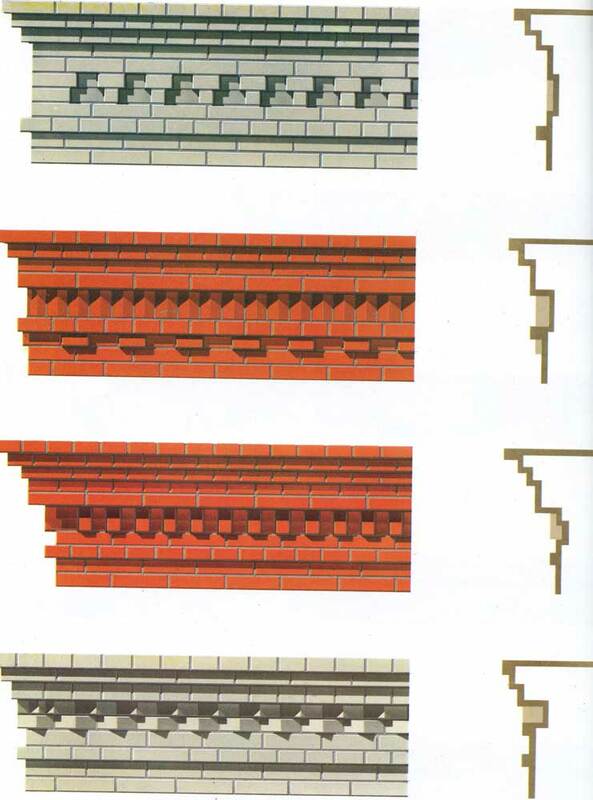 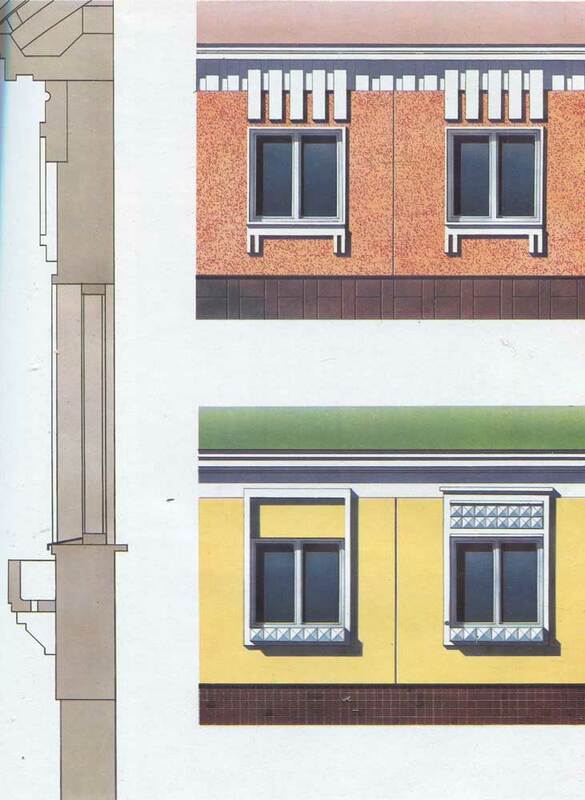 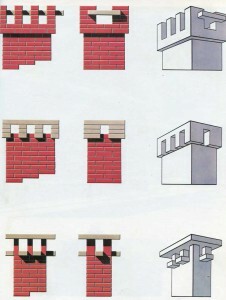 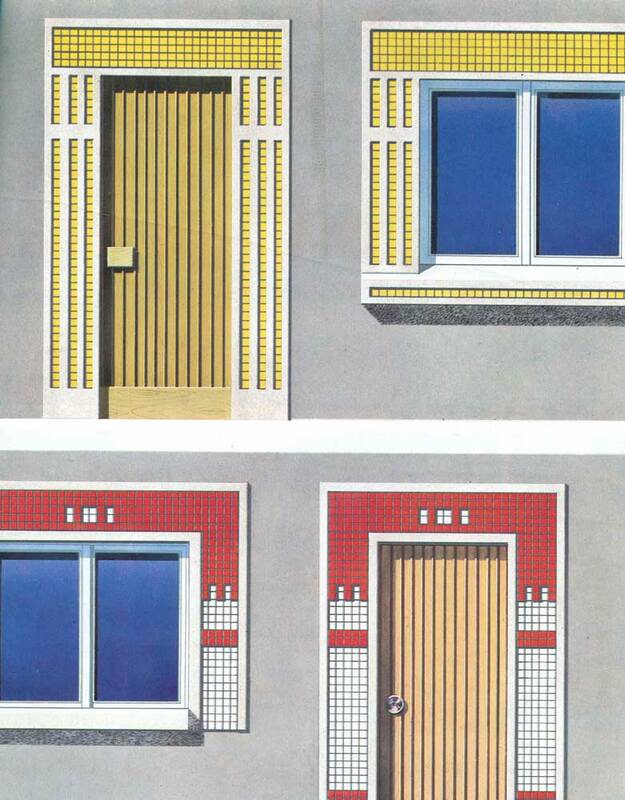 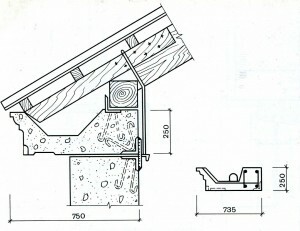 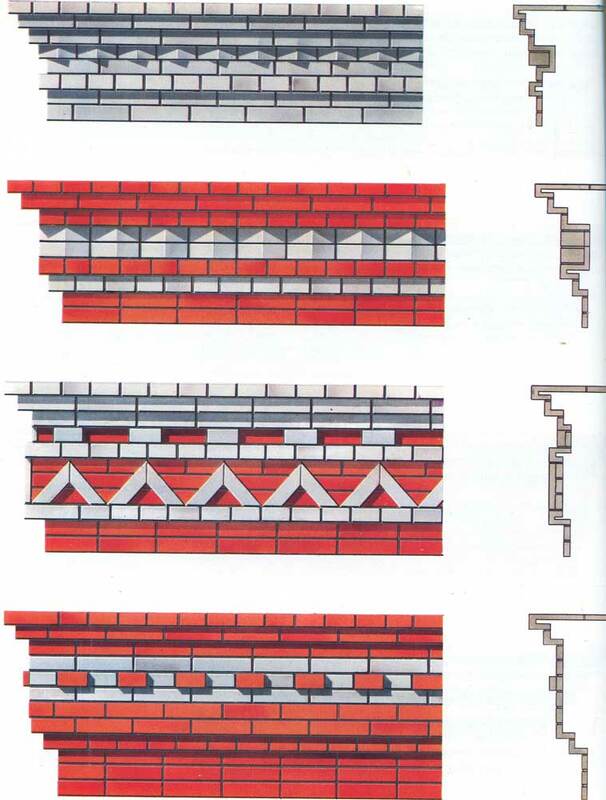 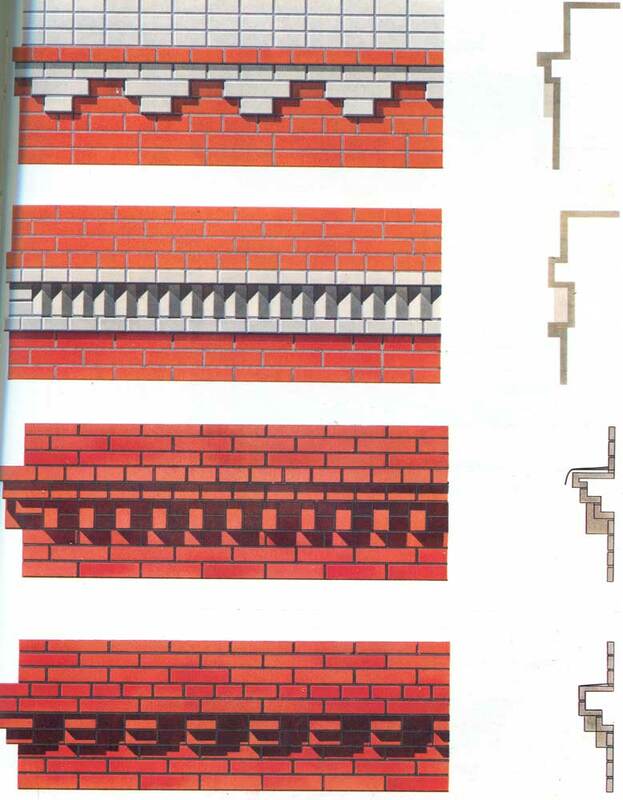 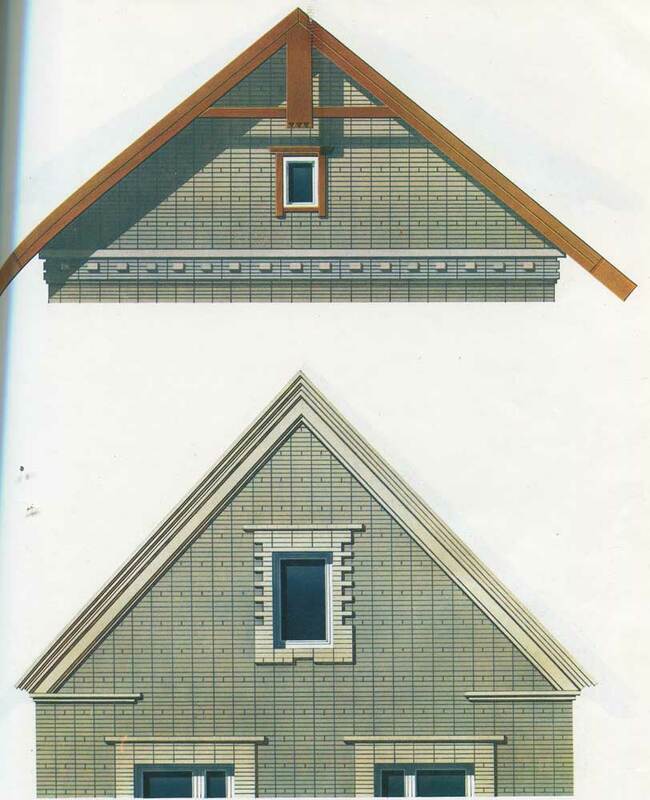 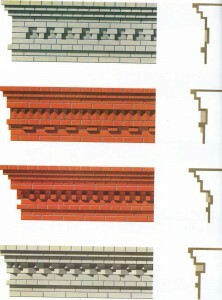 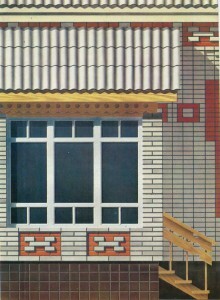 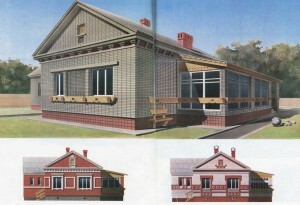 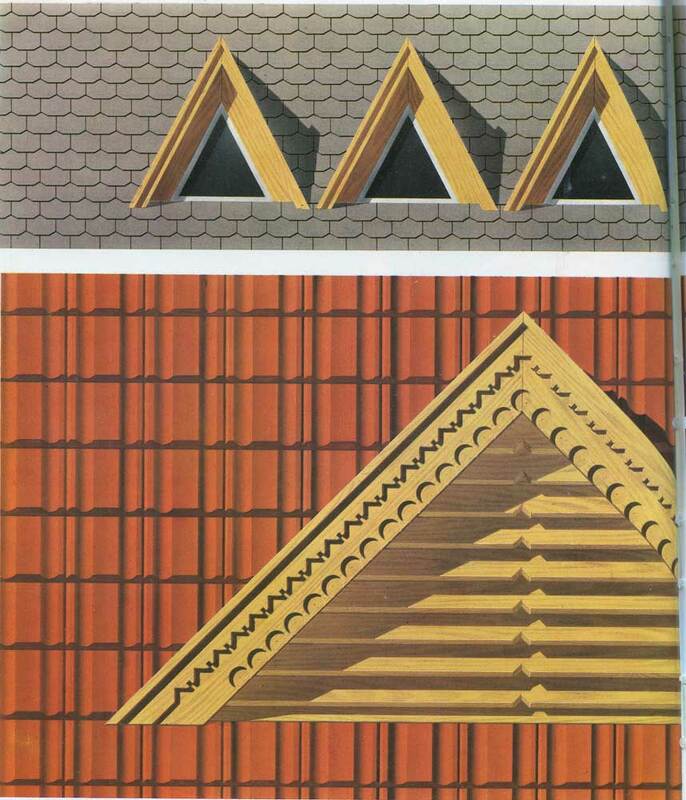 Options of facades of a house from a brick. 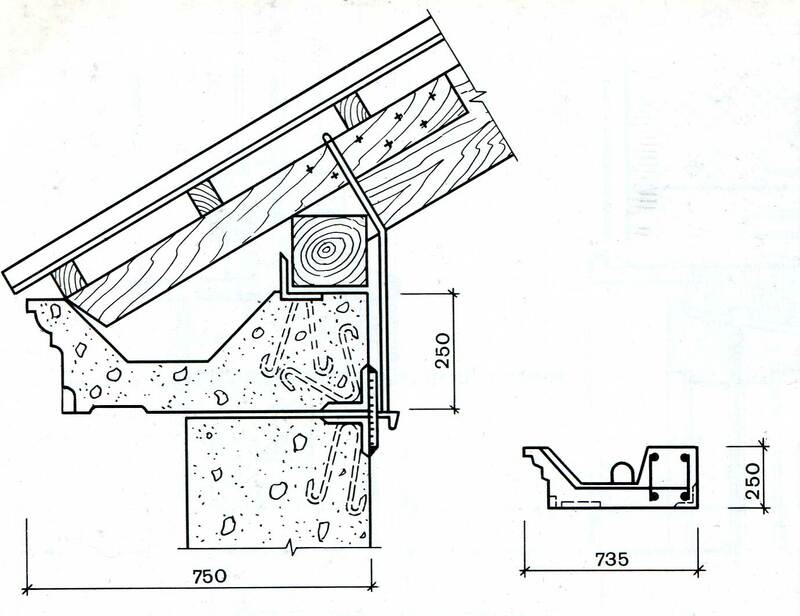 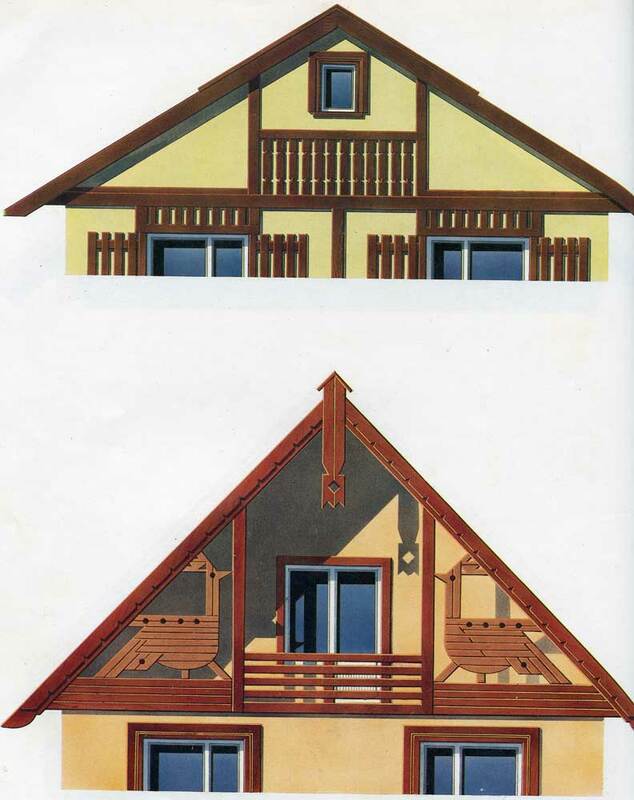 Options of architectural registration of a house from ferroconcrete panels. 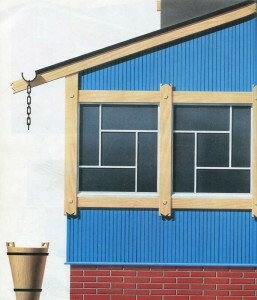 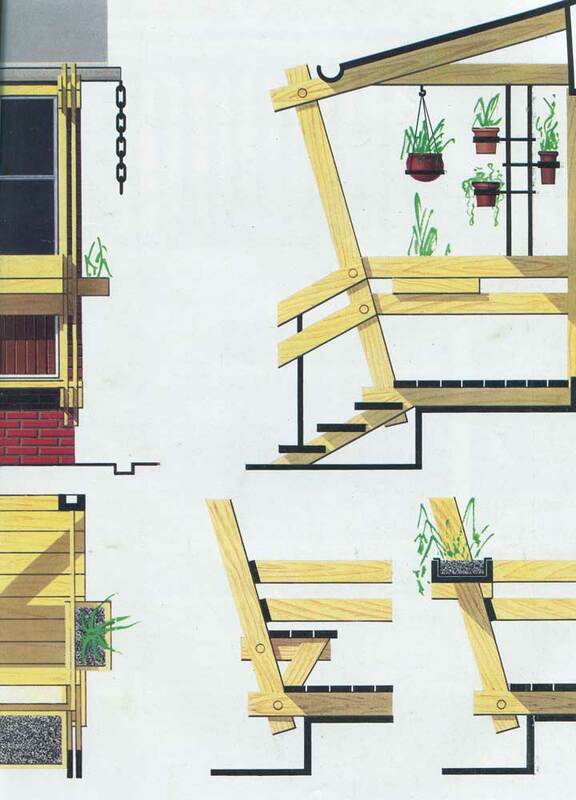 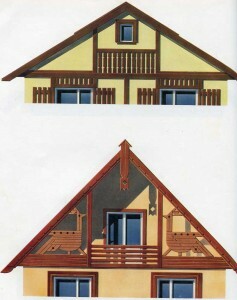 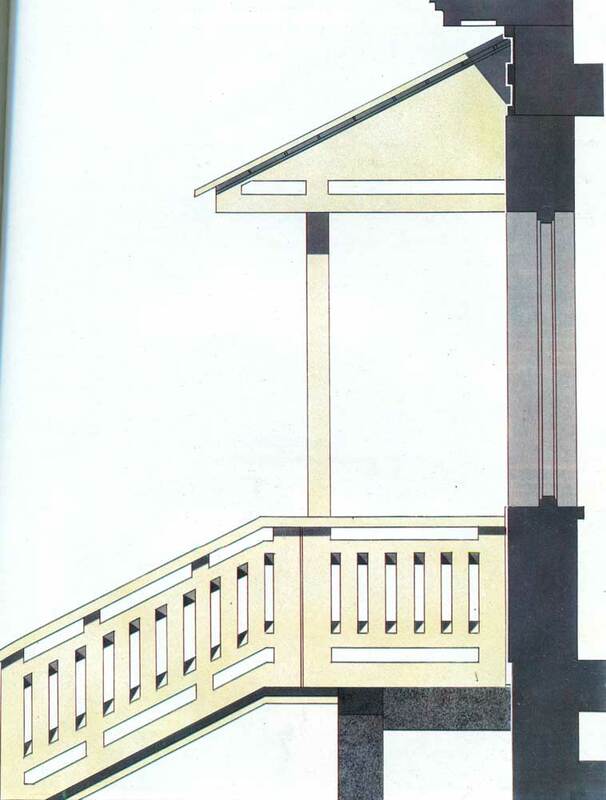 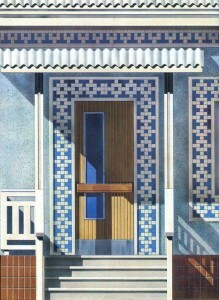 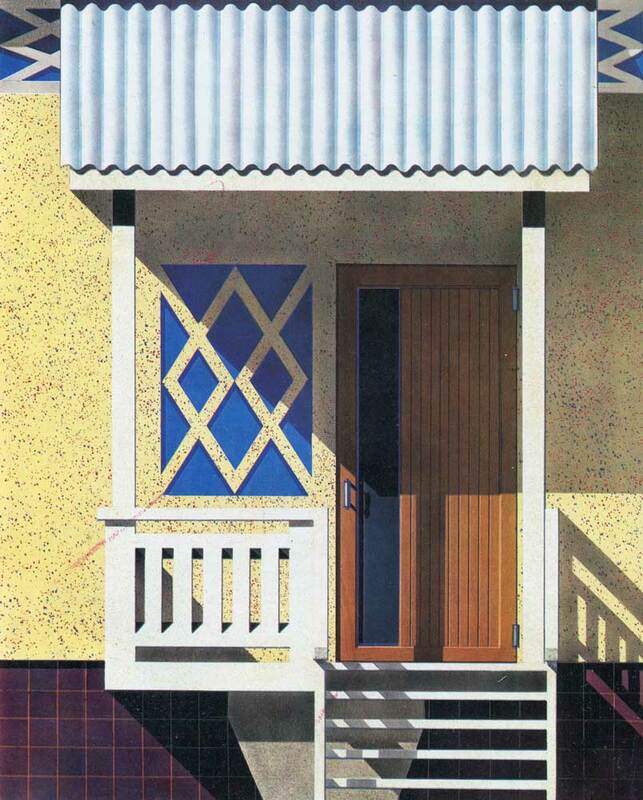 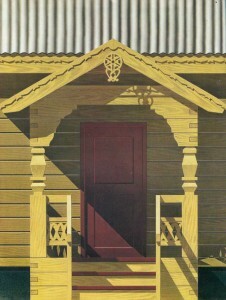 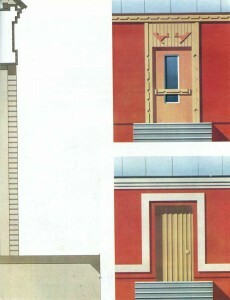 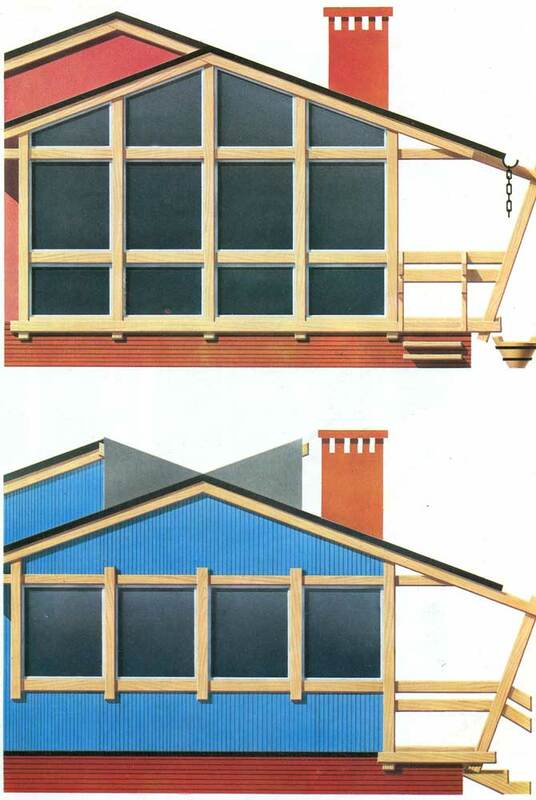 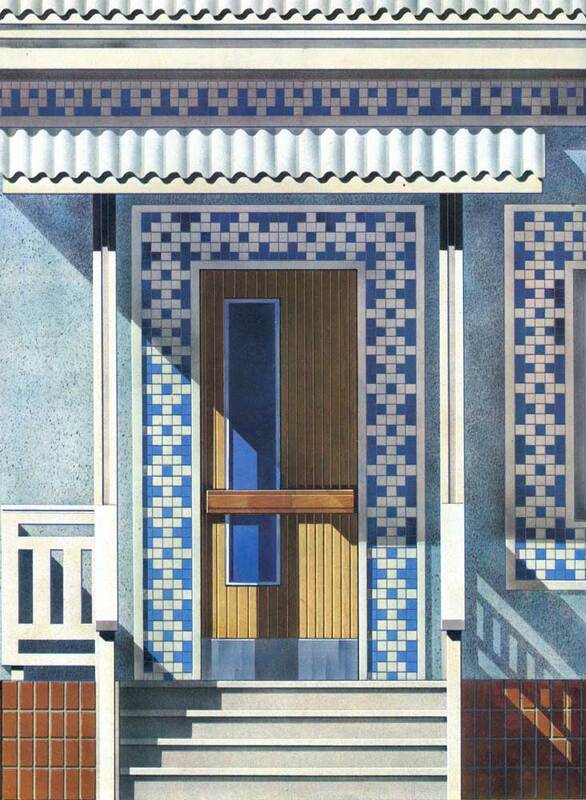 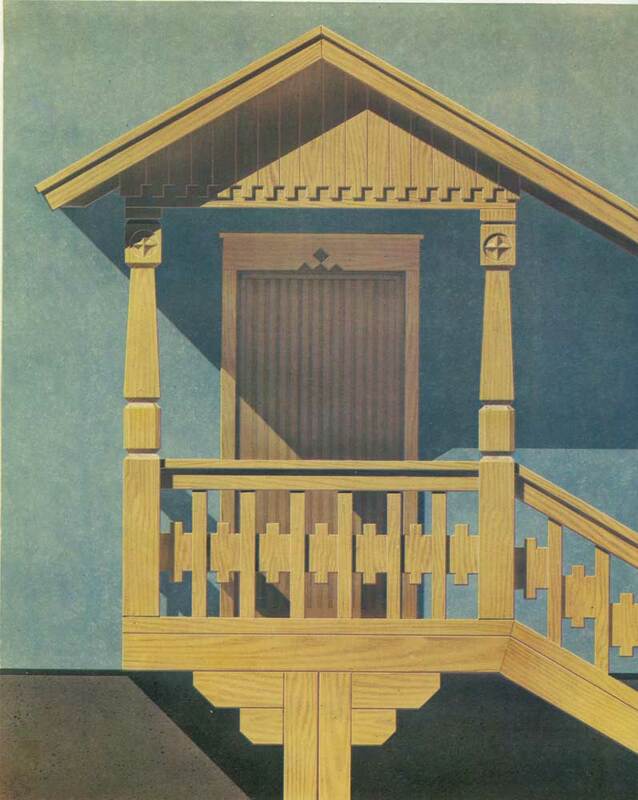 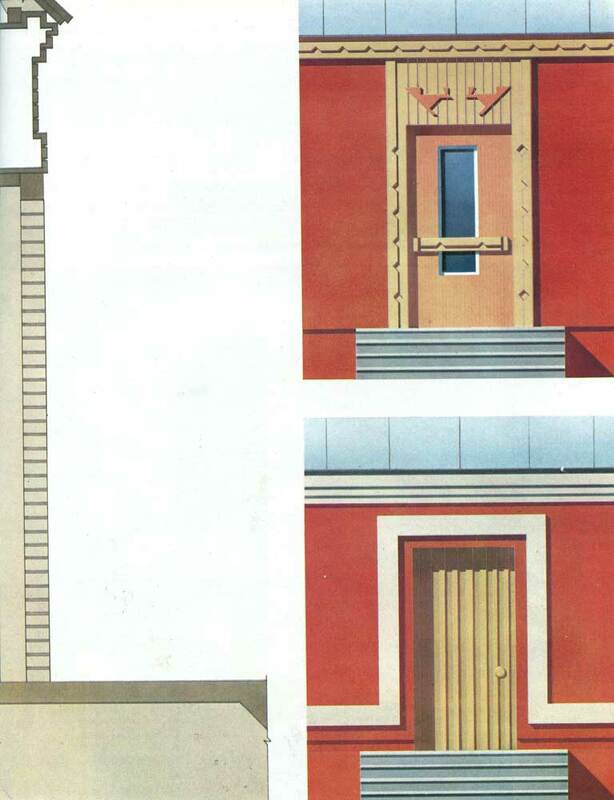 Options of architectural registration of a chopped house. 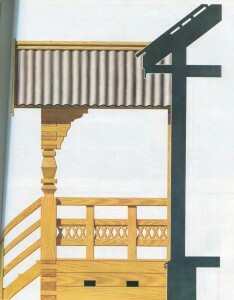 Porch of precast concrete elements. 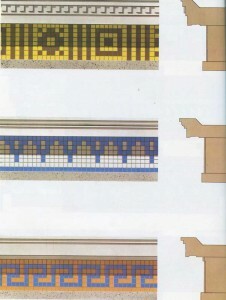 Trim panels with ceramic tiles and decorative relief. 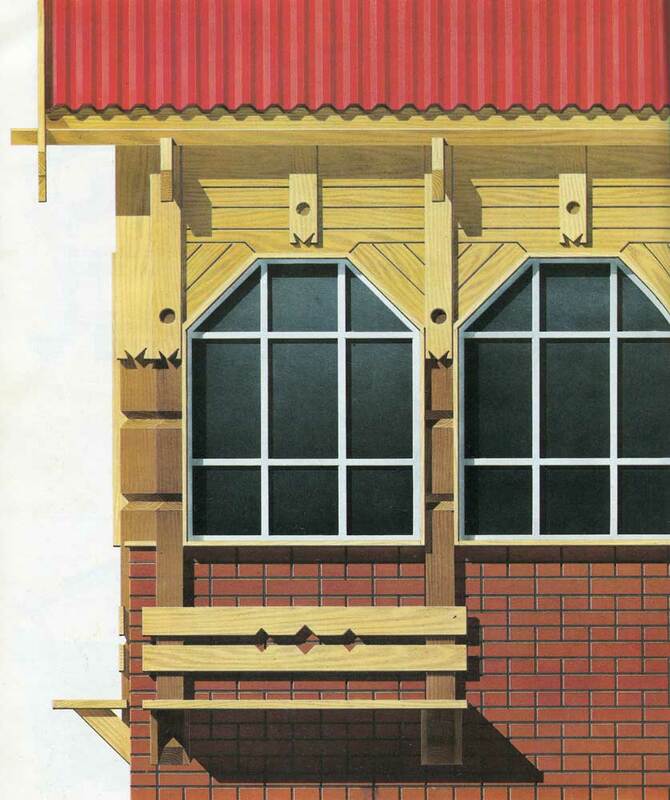 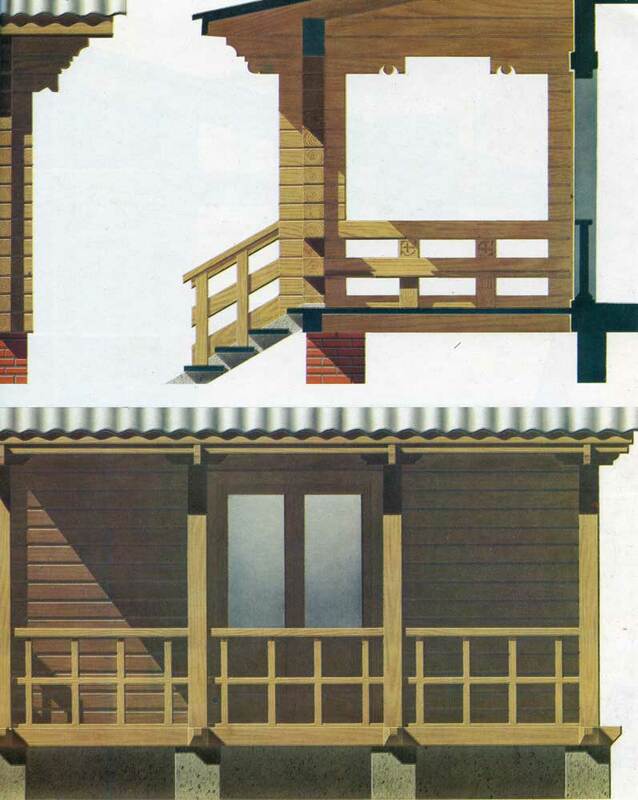 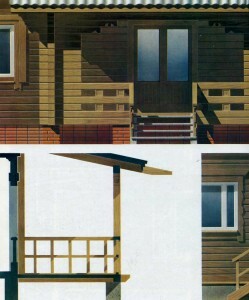 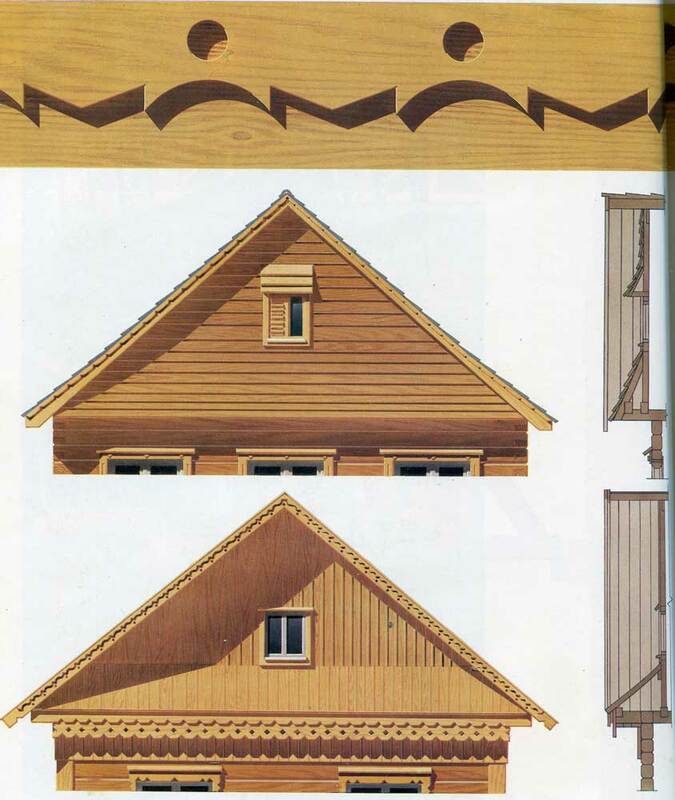 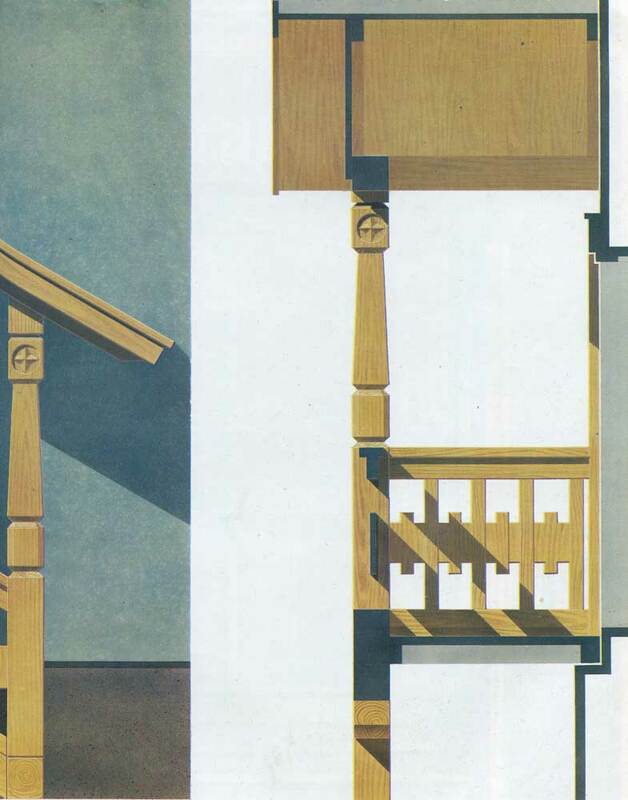 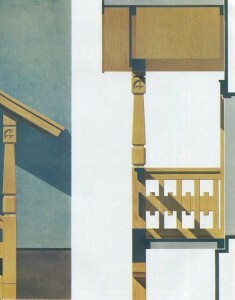 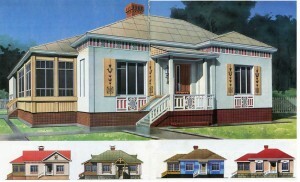 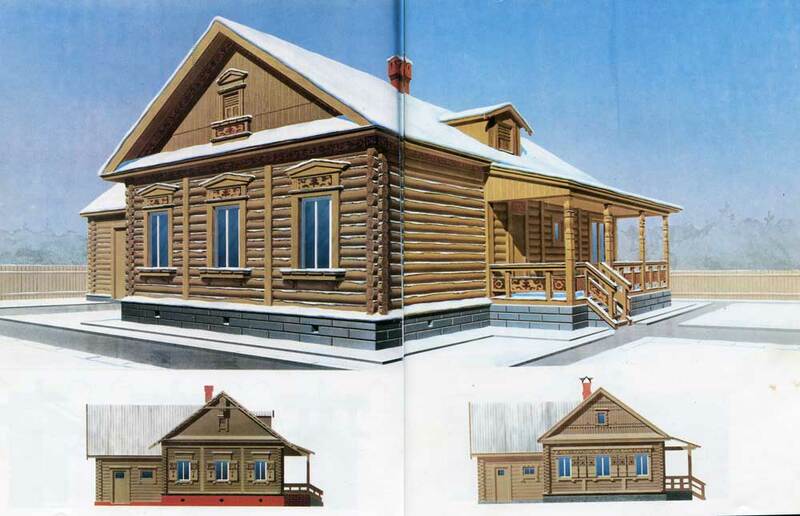 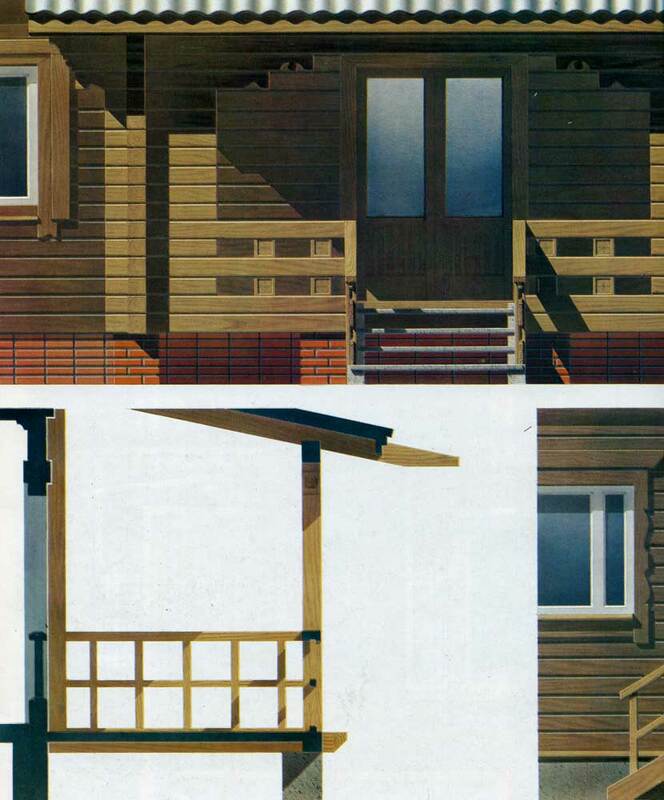 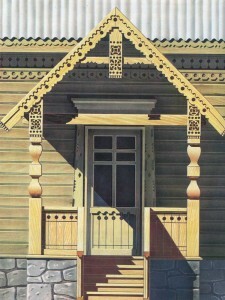 Based on Russian wooden odnostolbnyh porches. Porch of precast concrete elements. 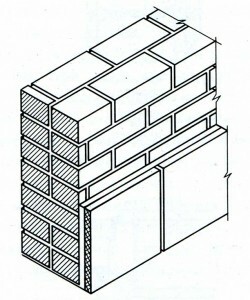 The entrances to the house with walls made ​​of small blocks. 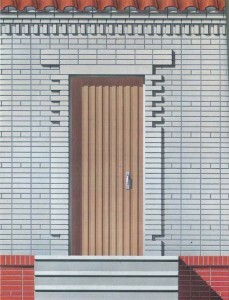 The entrances to the brick house. 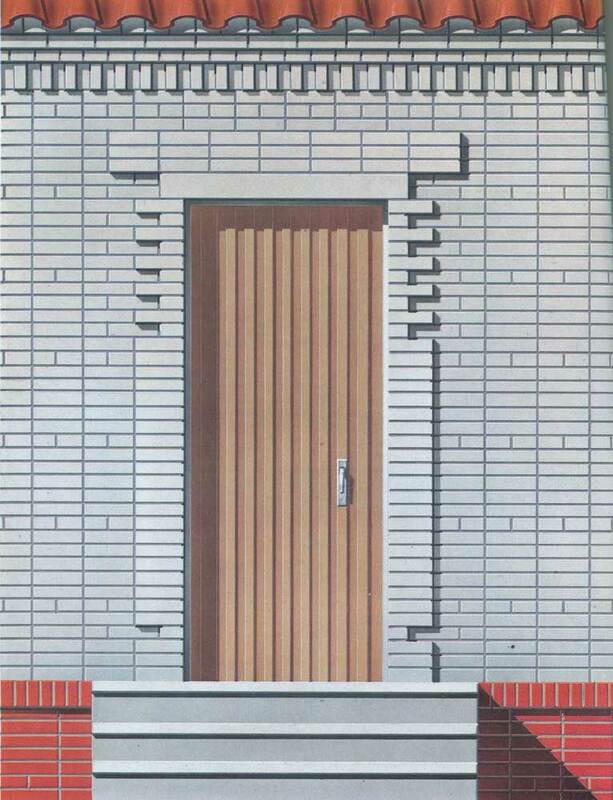 Login to the brick house. 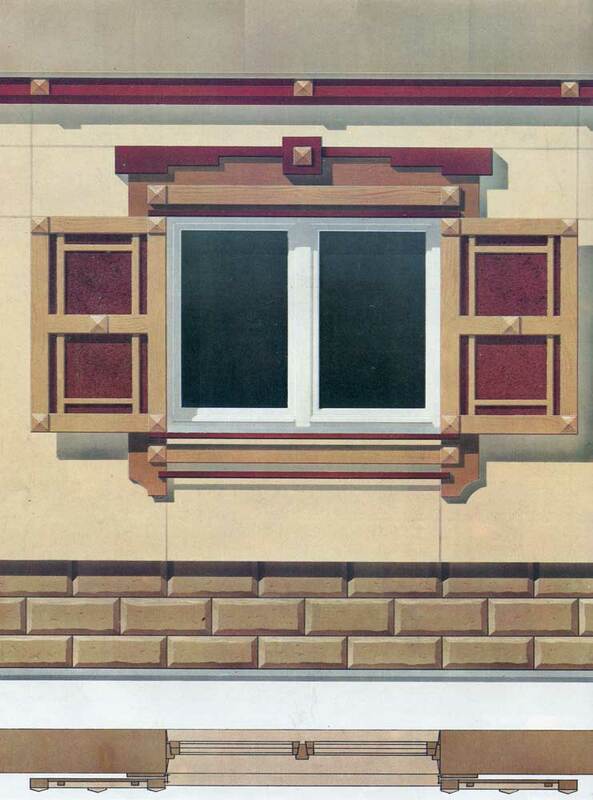 Cornice block and reinforced concrete fascia panel with decorative relief. 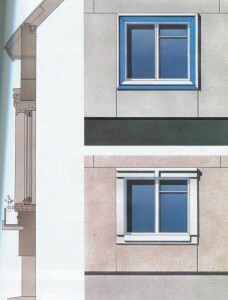 Cornice block and reinforced concrete fascia panel with ceramic tiles. 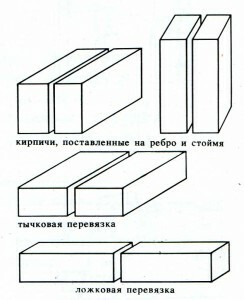 Pricheliny and towels. 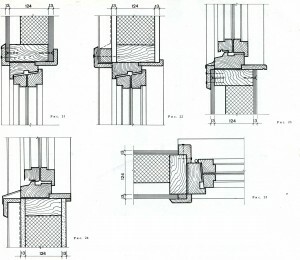 Molded thread. 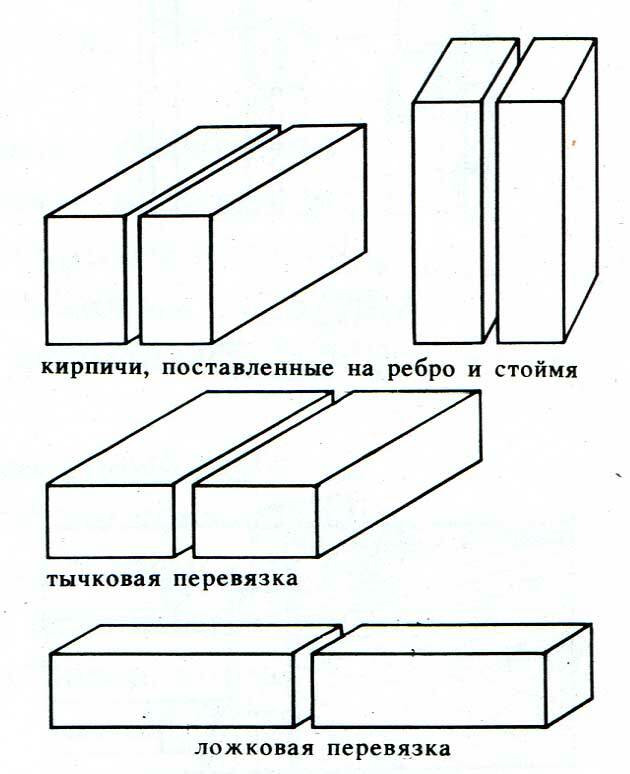 Gables of houses from concrete panels. 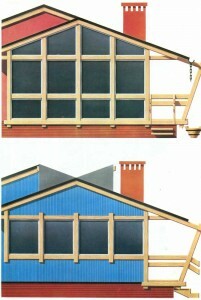 Gables of houses from prefabricated panels with wooden frames. 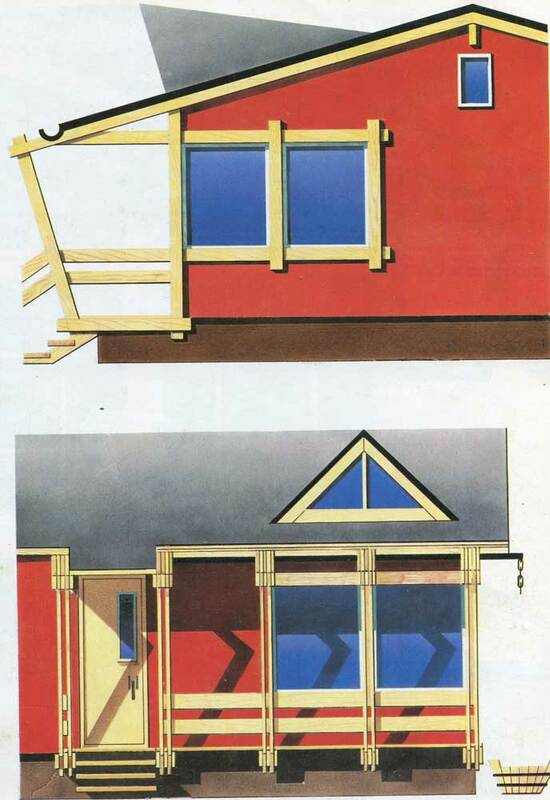 Framing the windows of a house with wooden frames. Window frames in the panel shutters with decorative relief. 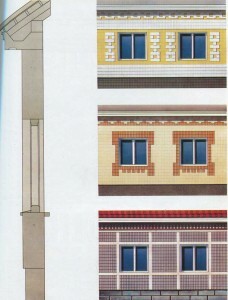 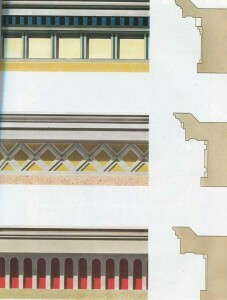 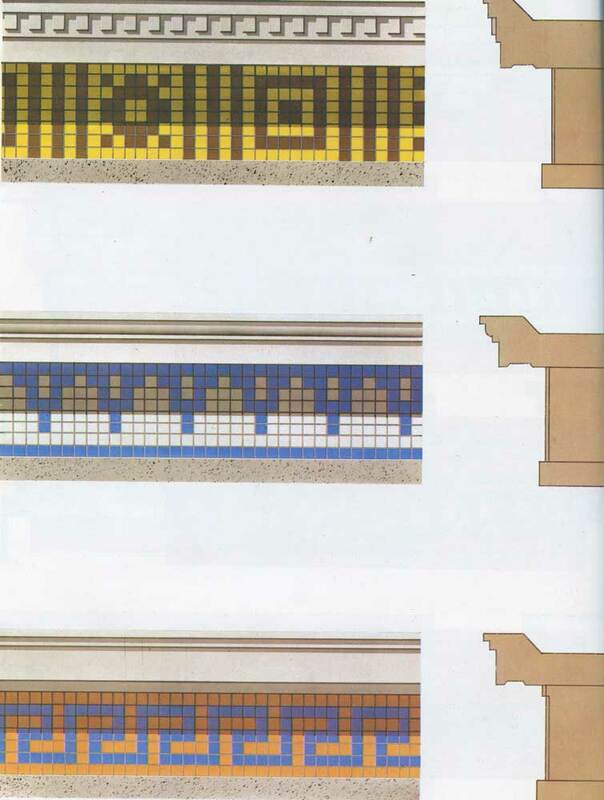 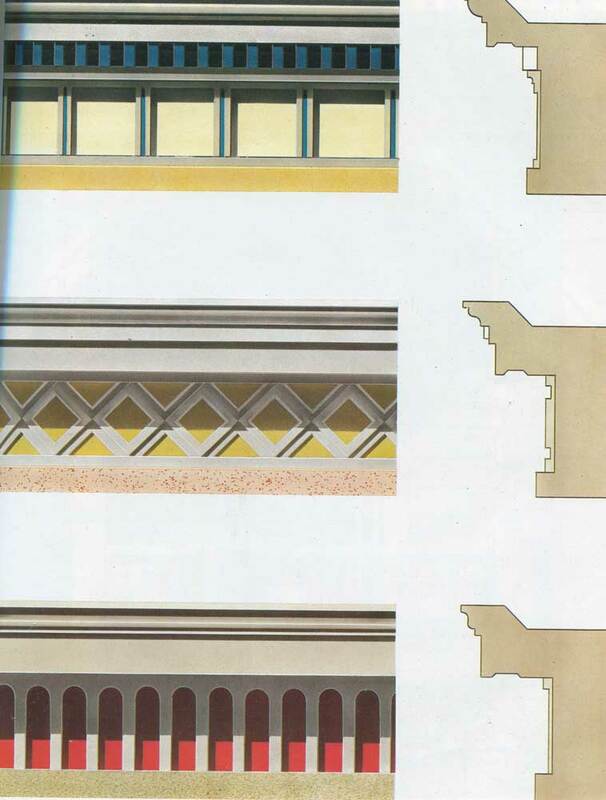 Fragment of facade panel houses, lined with ceramic tiles. 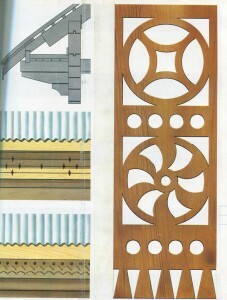 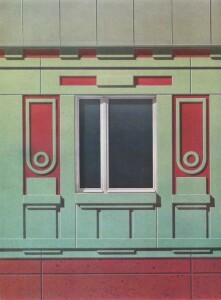 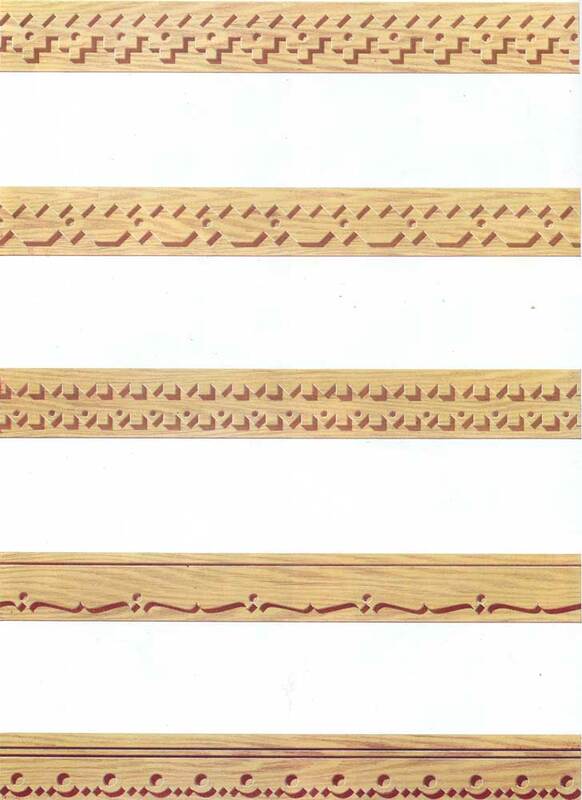 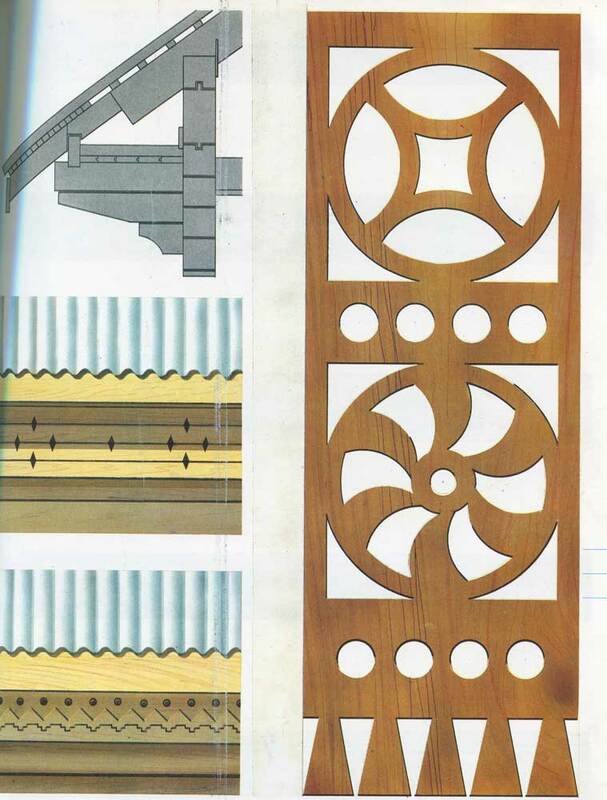 Panel with decorative relief prefabrication. 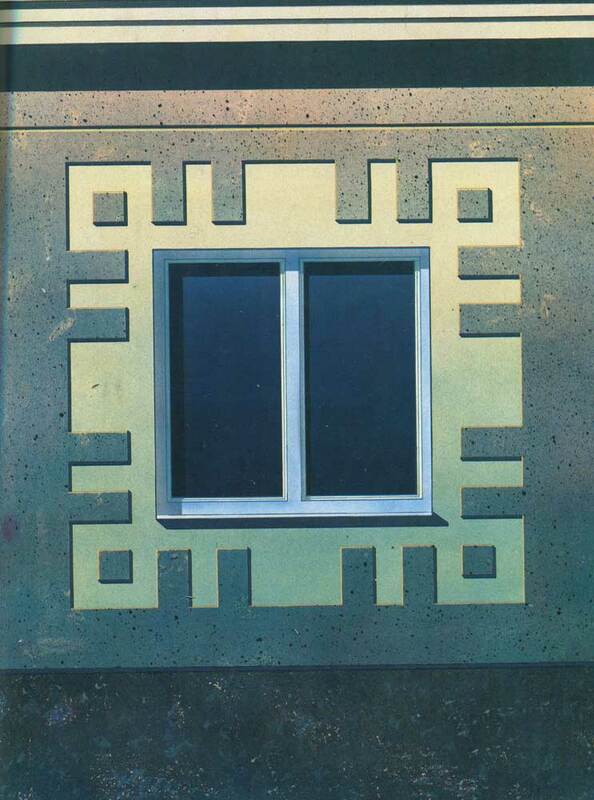 Putting a window mounted decorative concrete elements. 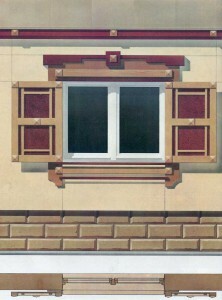 Window frames mounted decorative concrete elements. 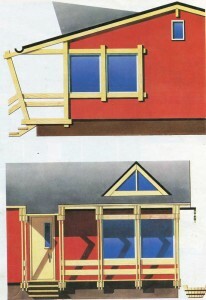 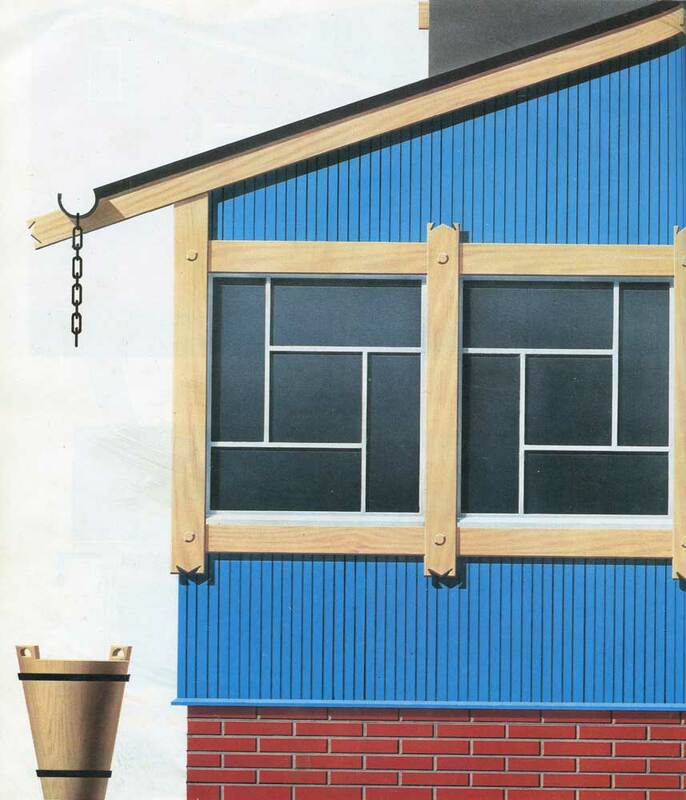 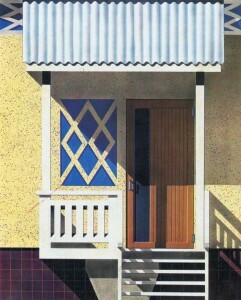 Window frames in prefabricated houses. 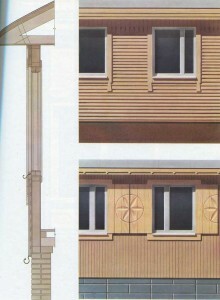 Window frames with shutters houses of the industrial wood panels. 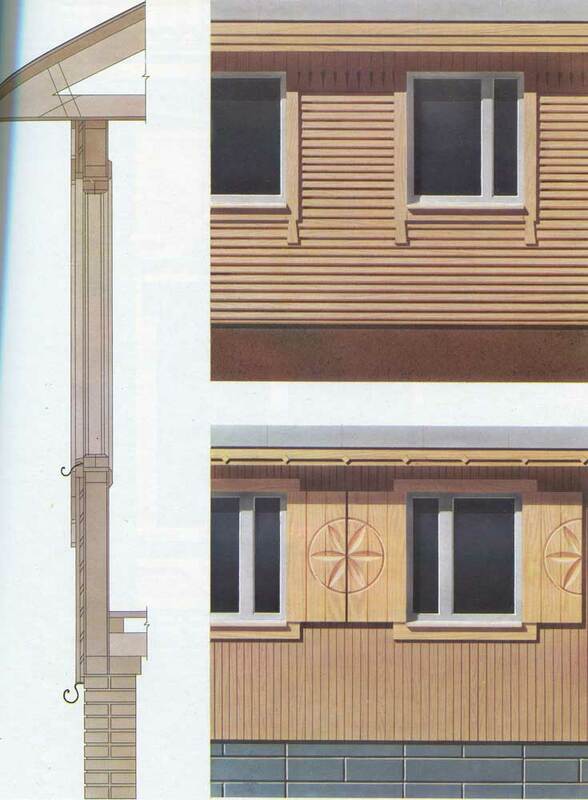 Window casings shuttered houses of the industrial wood panels. 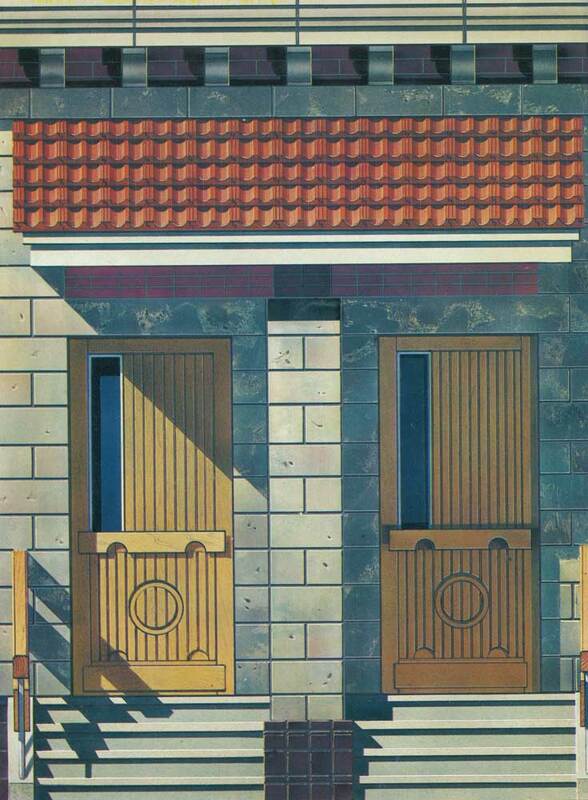 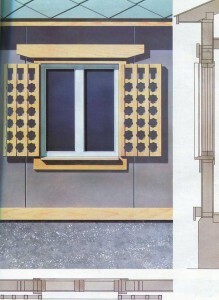 Clypeus for a pair of windows in the industrial wood panels. 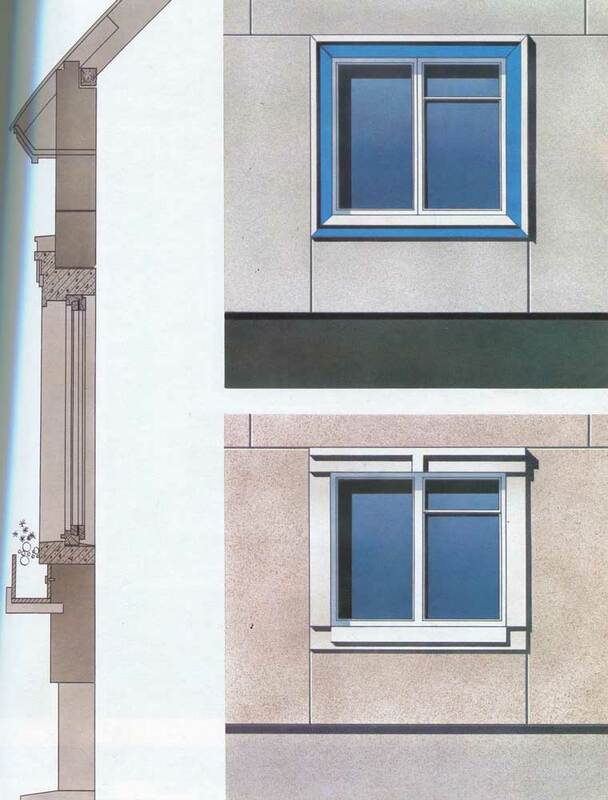 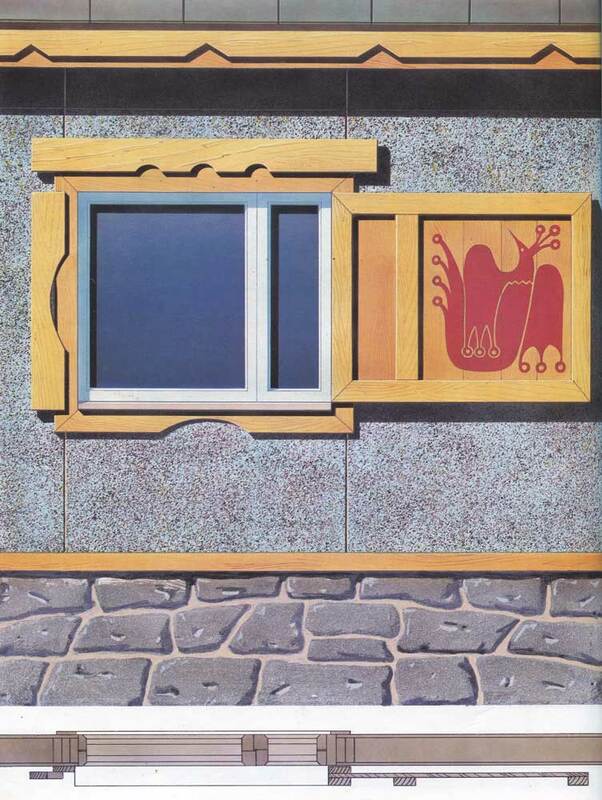 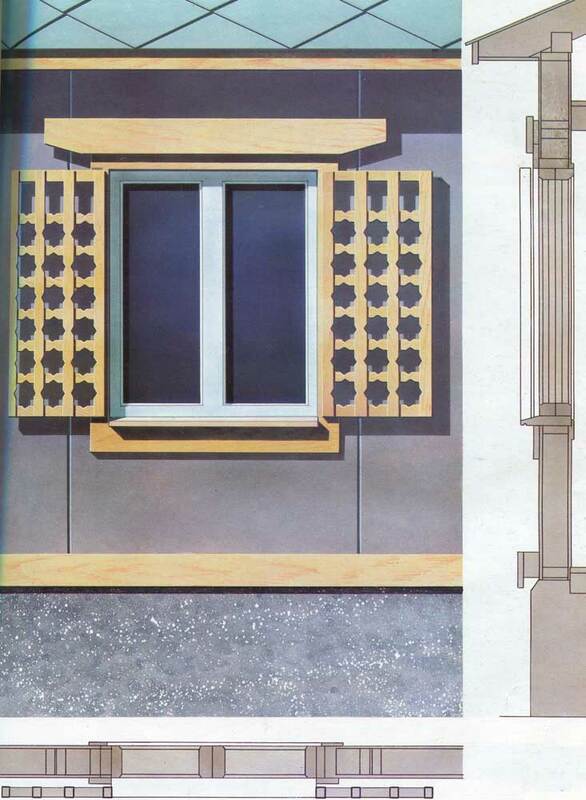 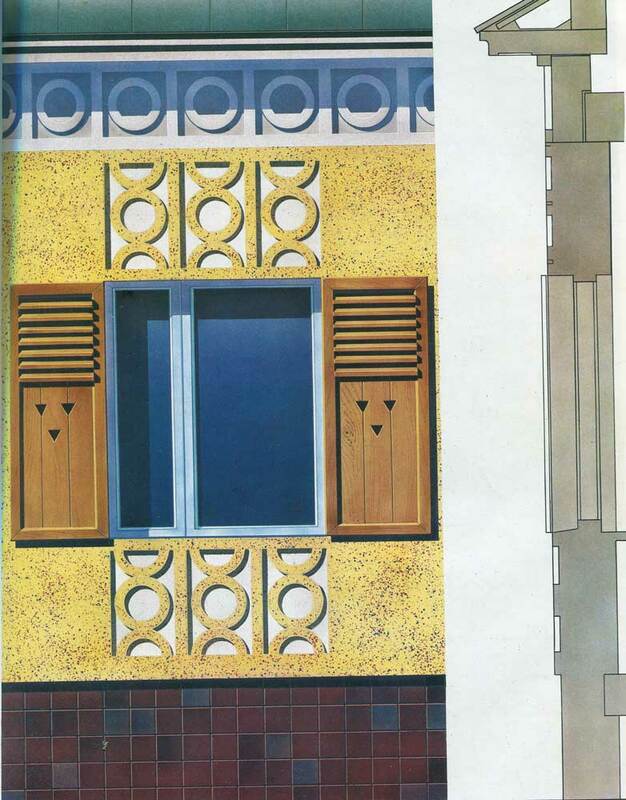 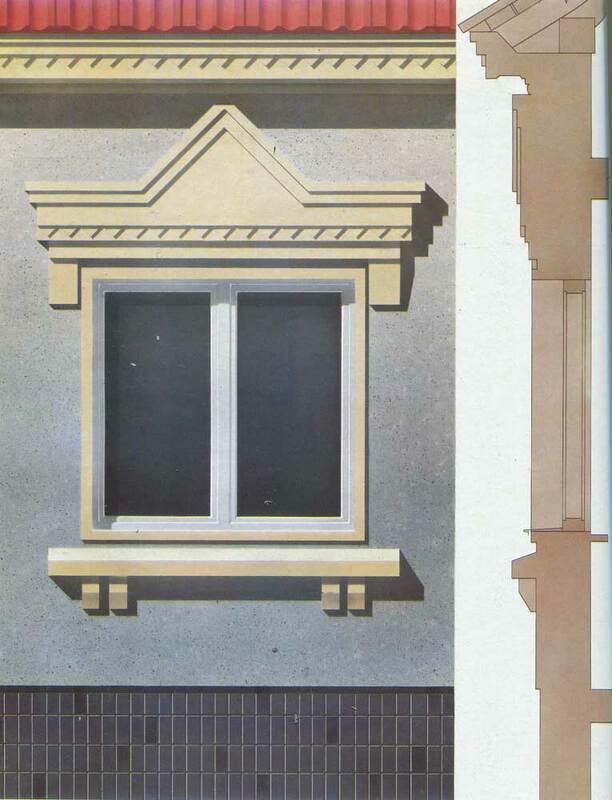 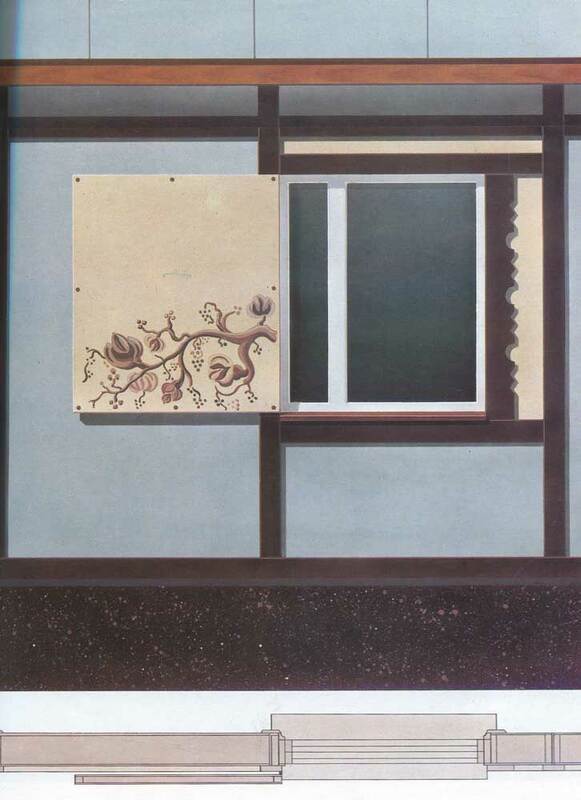 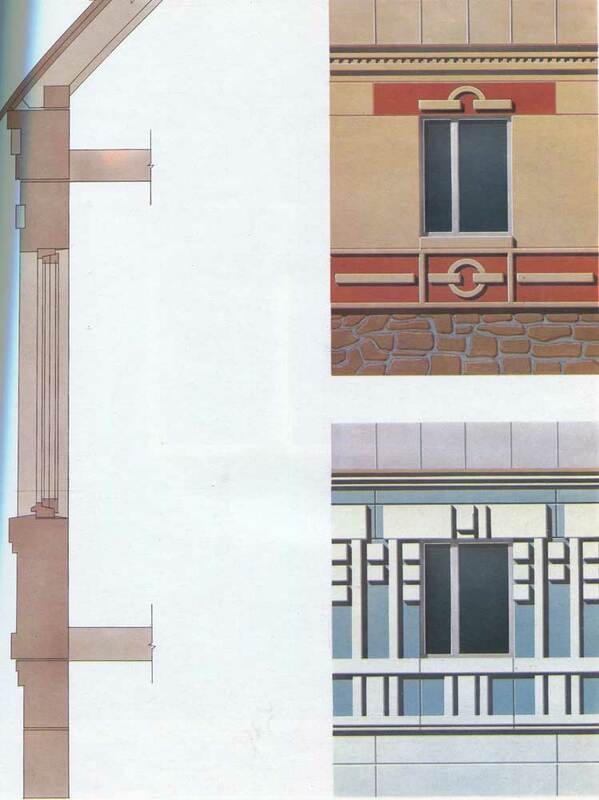 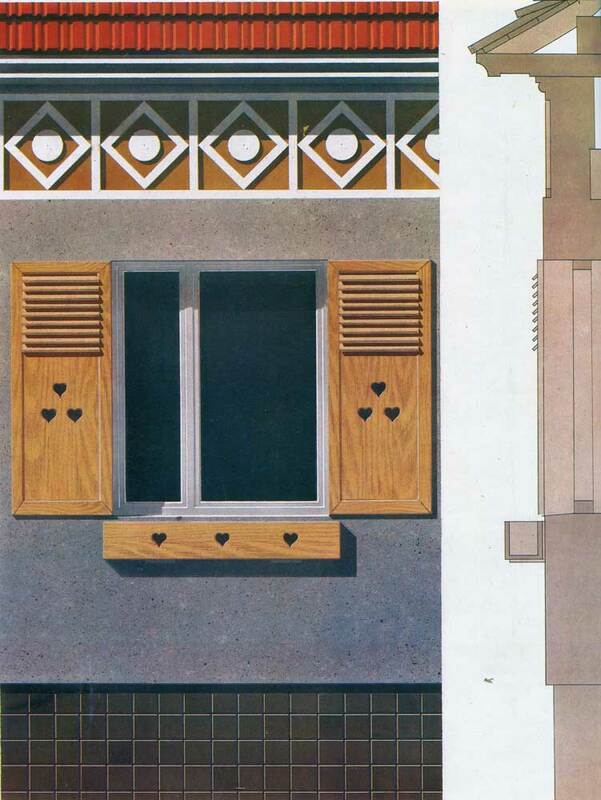 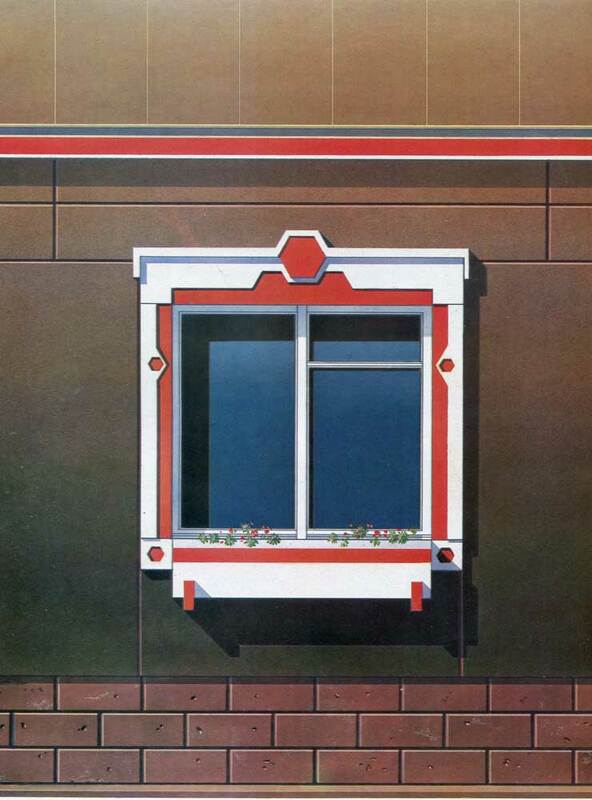 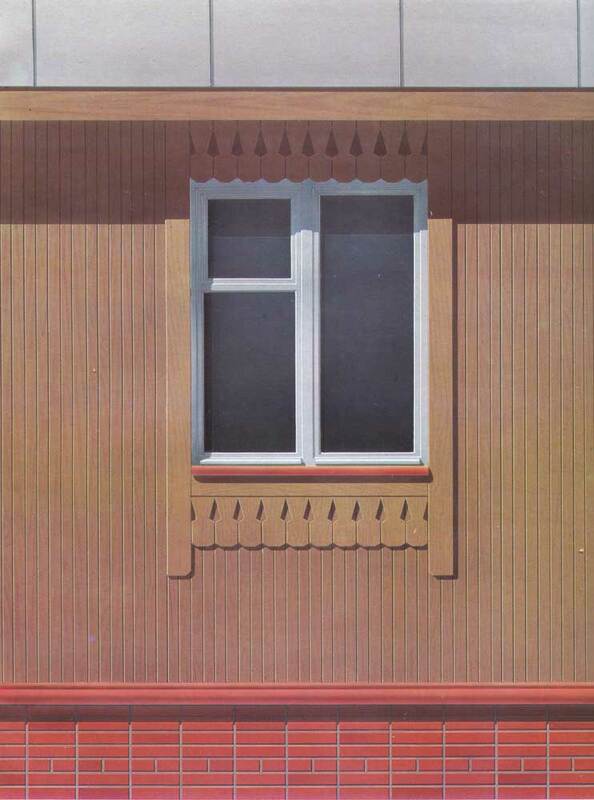 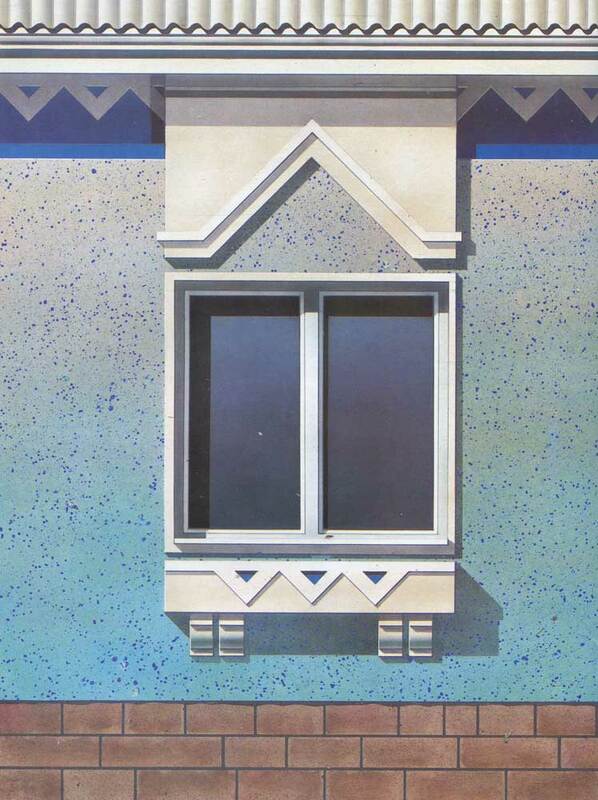 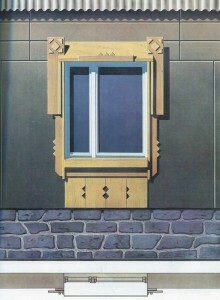 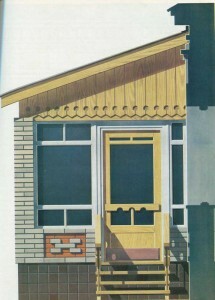 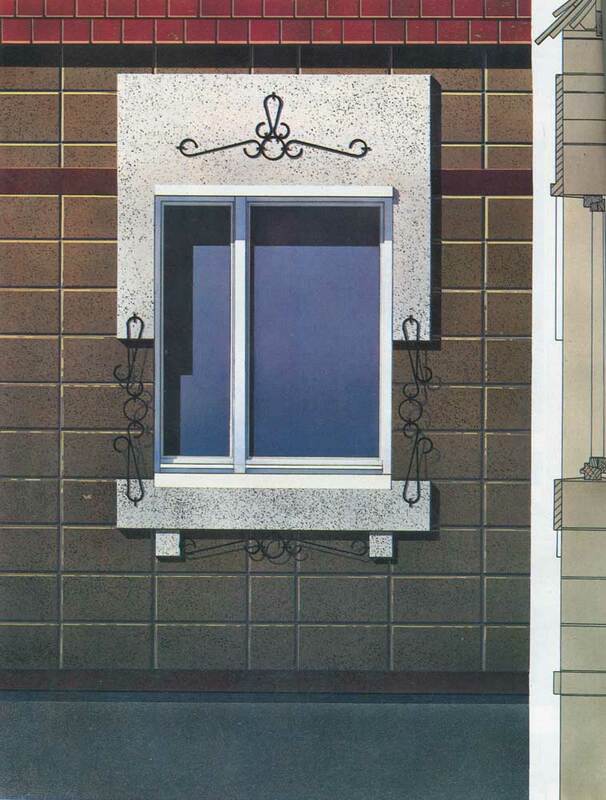 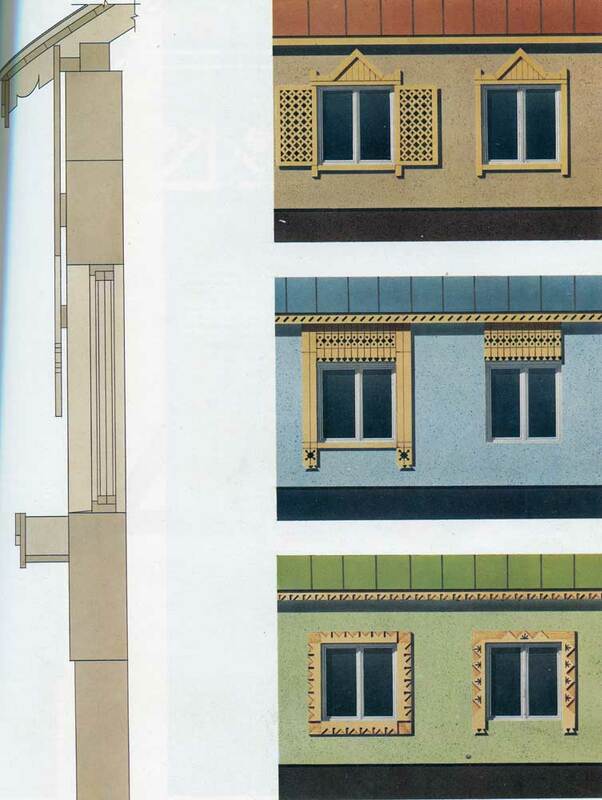 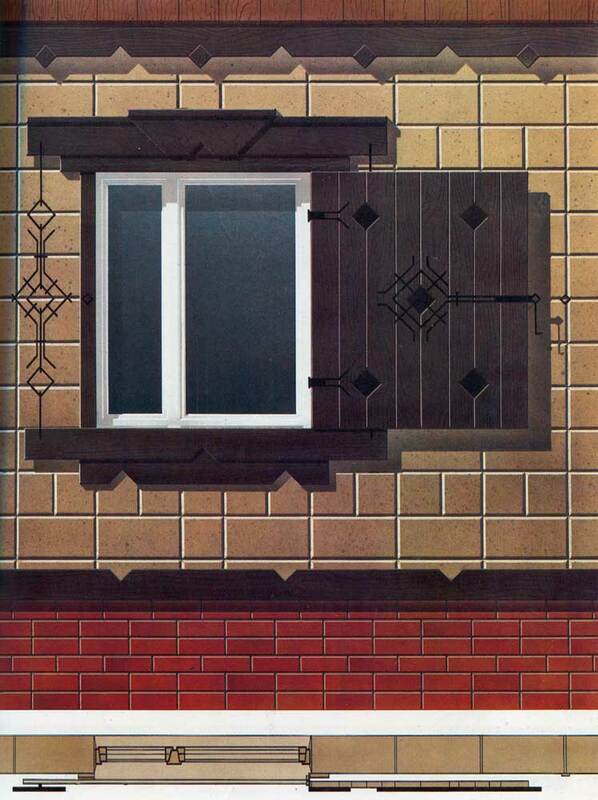 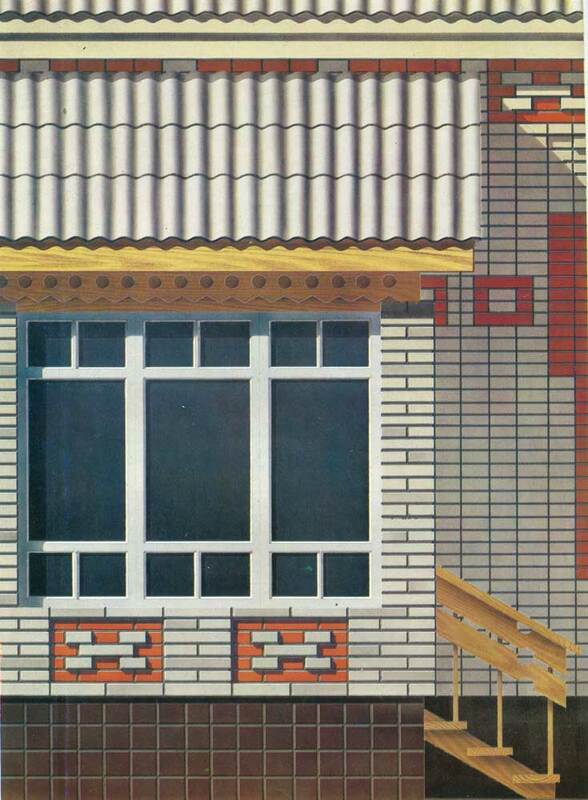 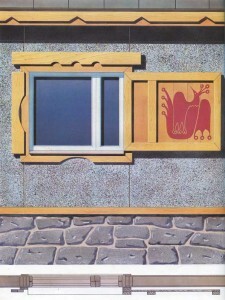 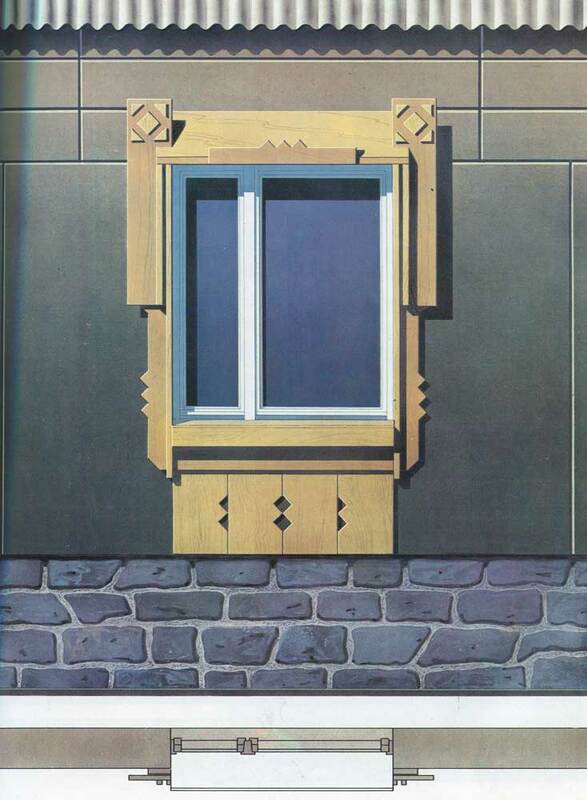 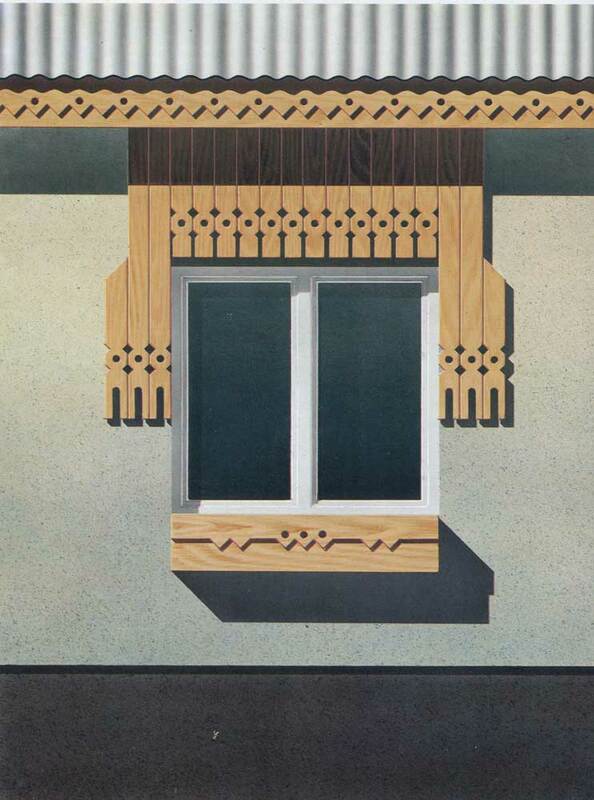 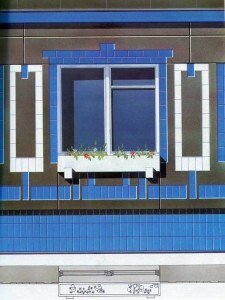 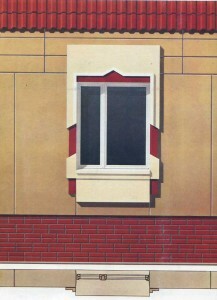 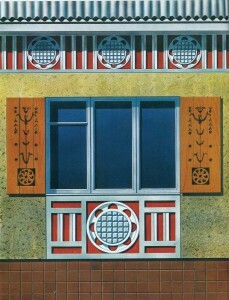 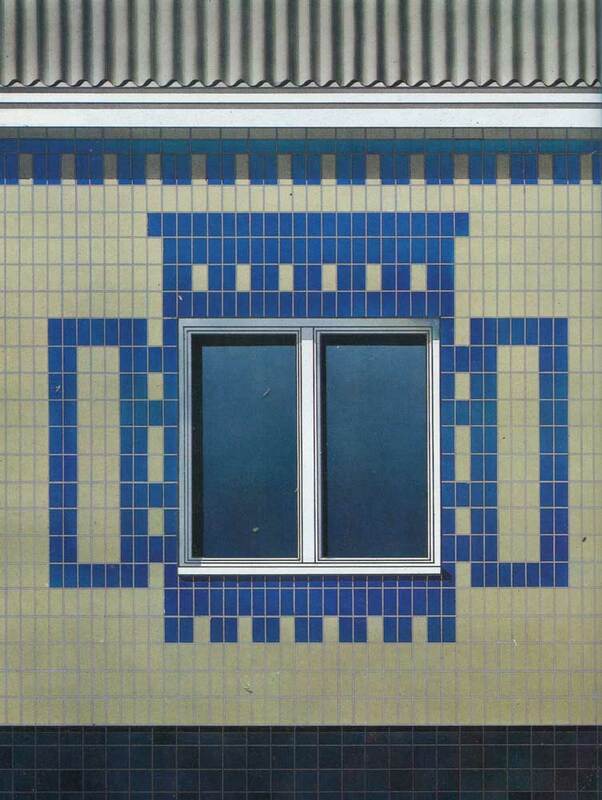 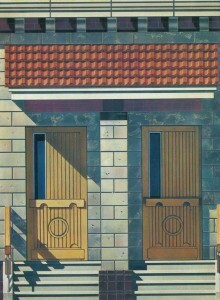 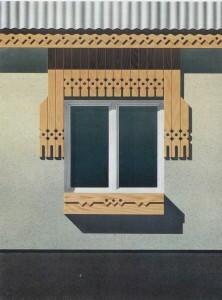 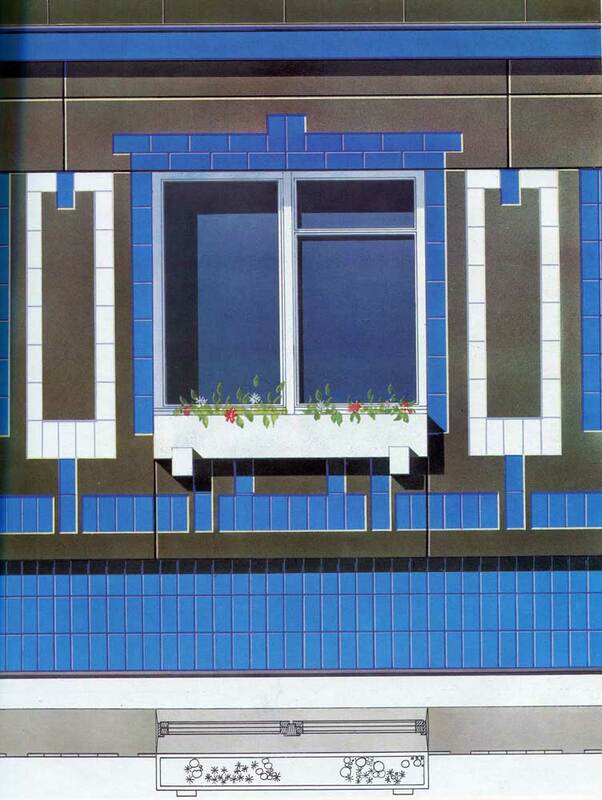 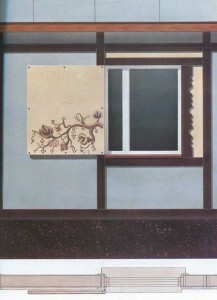 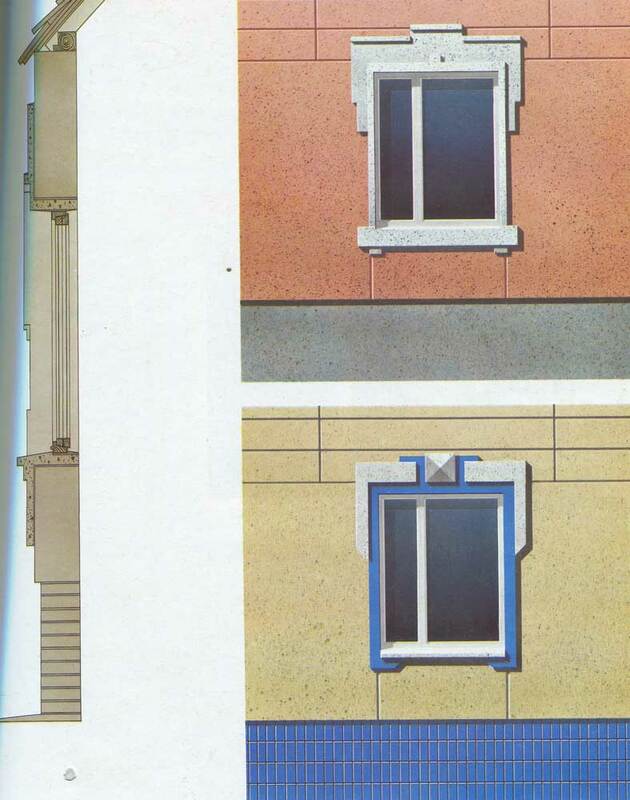 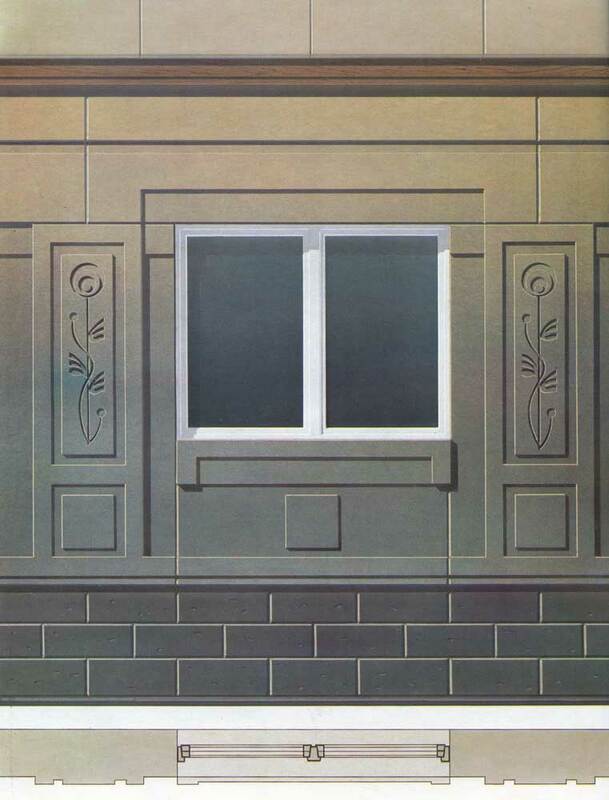 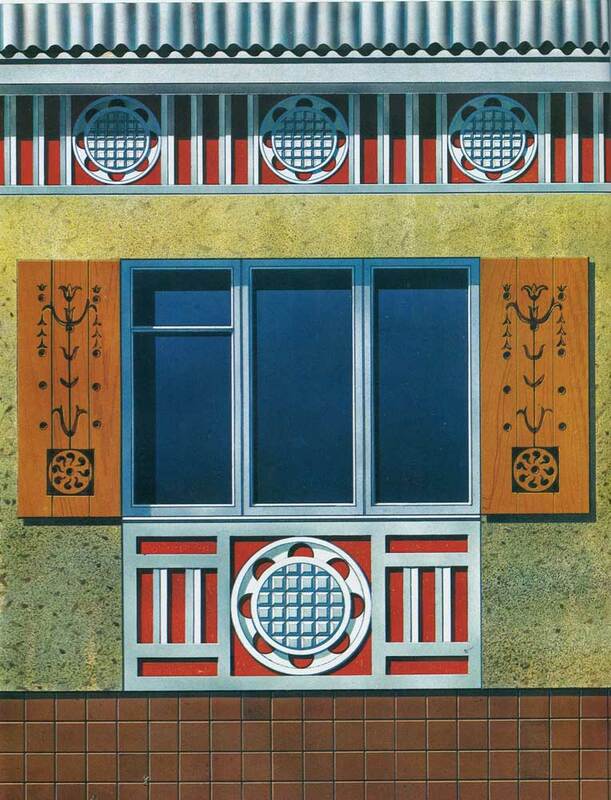 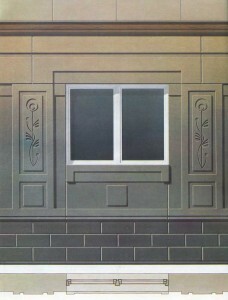 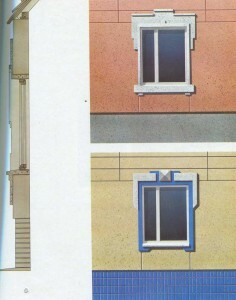 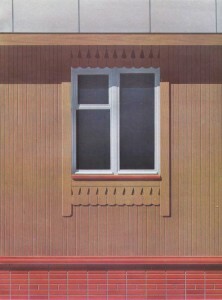 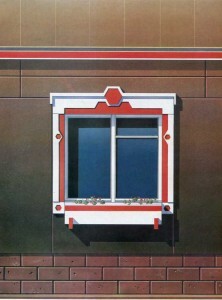 Decorative window frames of concrete inserts for large-block houses. Large blocks with decorative reliefs and ceramic tiles. 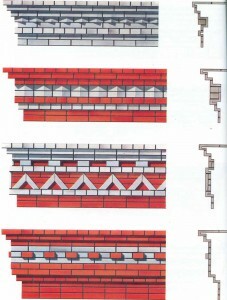 Large blocks with decorative relief prefabrication. Wooden window casing houses arbolitovyh blocks. 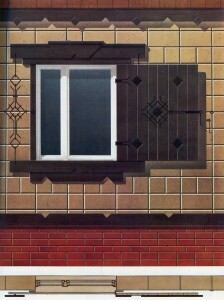 Wooden window with shutters in the casing wall of arbolitovyh blocks. 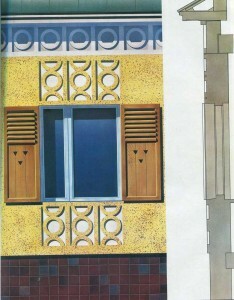 Wooden window shutters with casing in the wall of the small blocks. 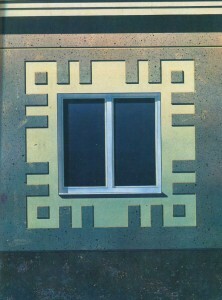 Plaster casing window in the wall of the small blocks.